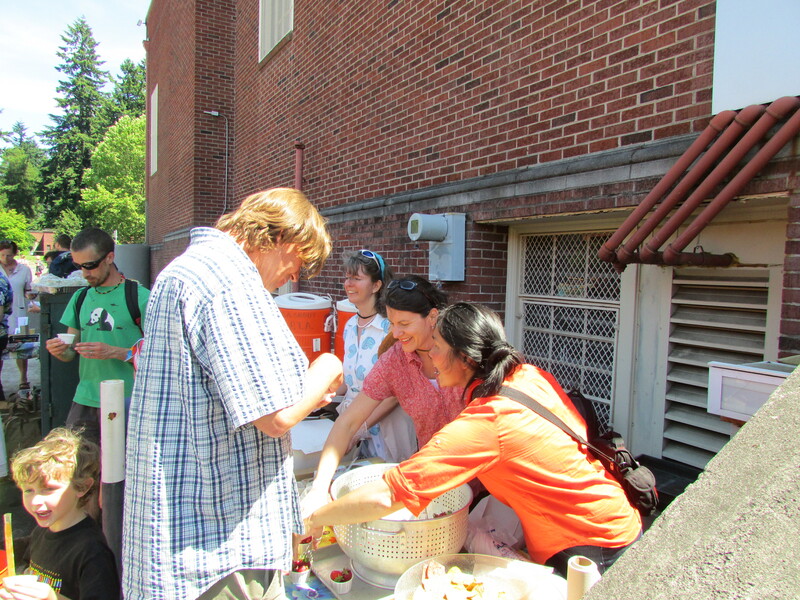 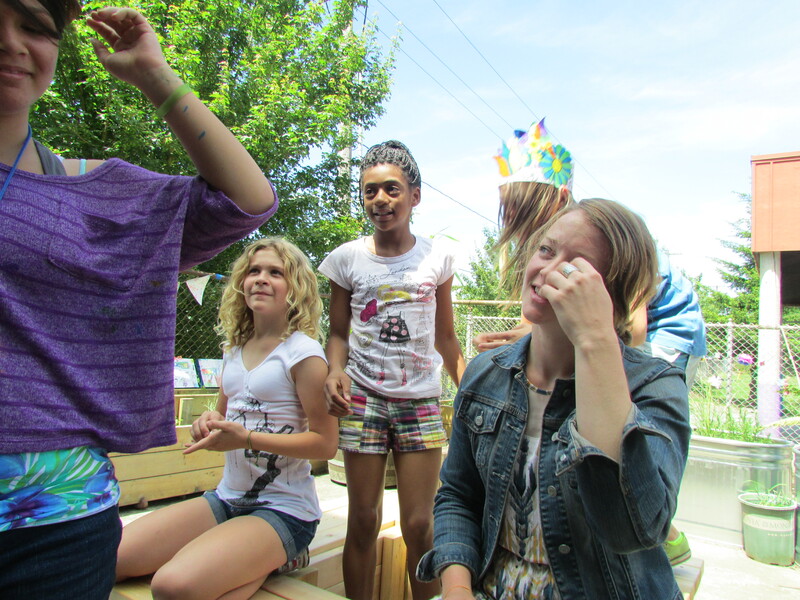 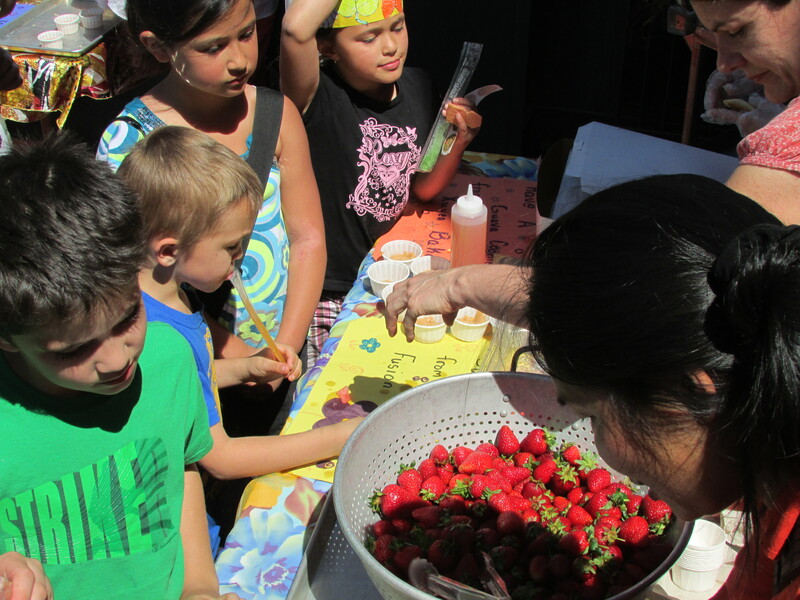 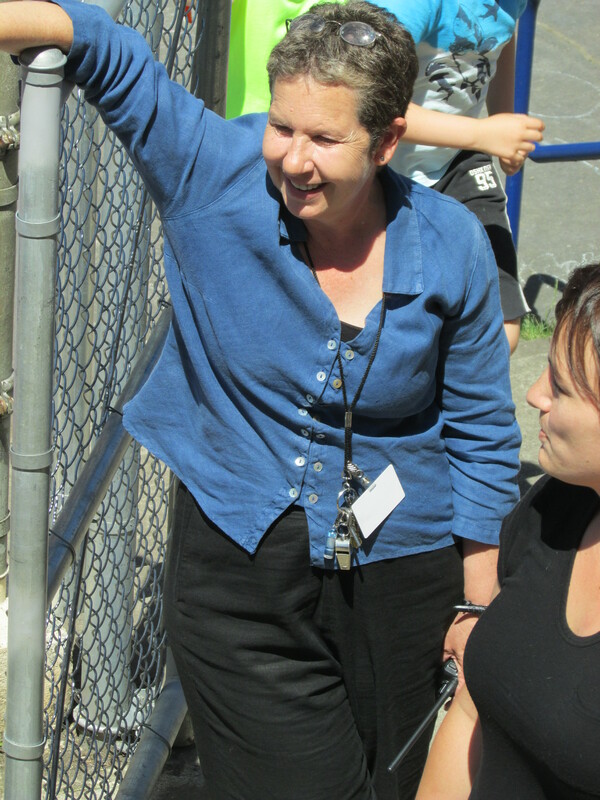 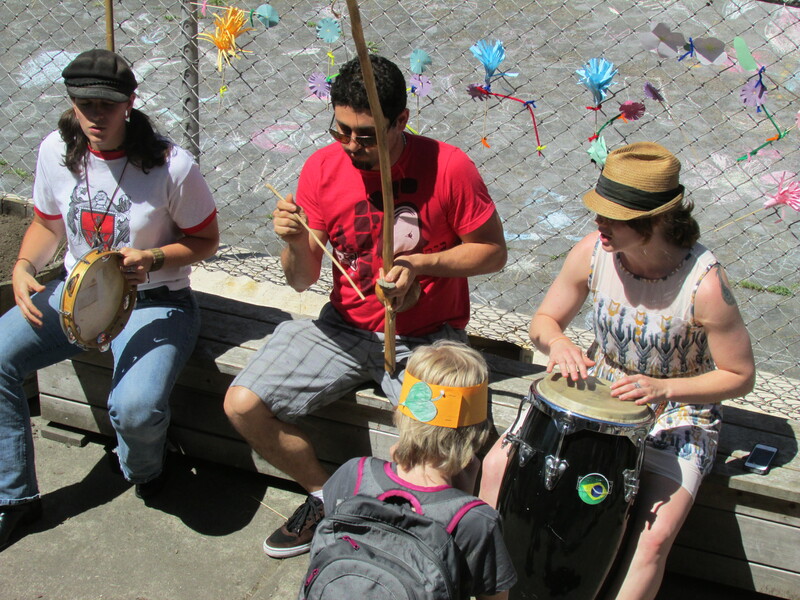 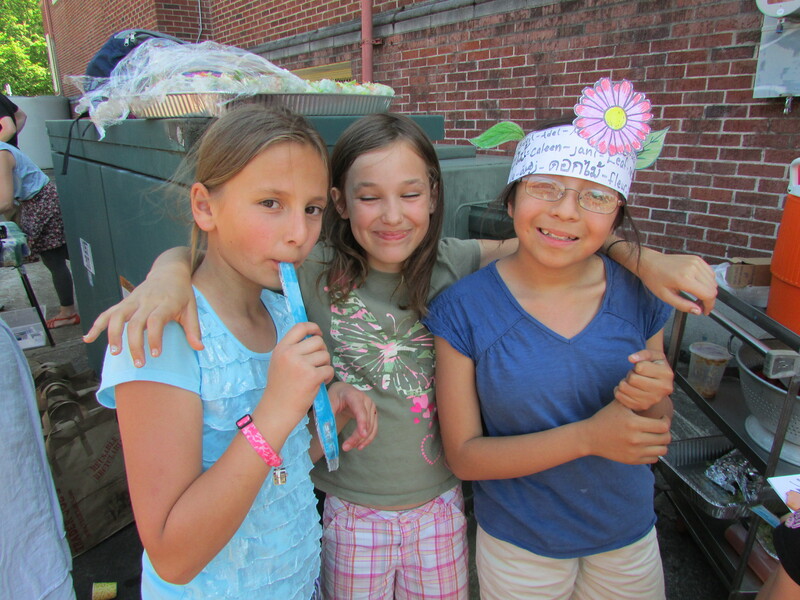 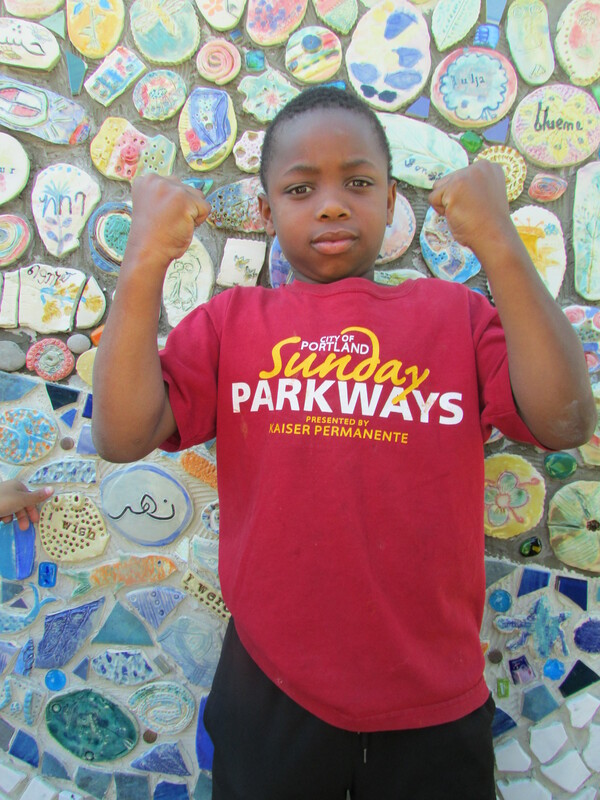 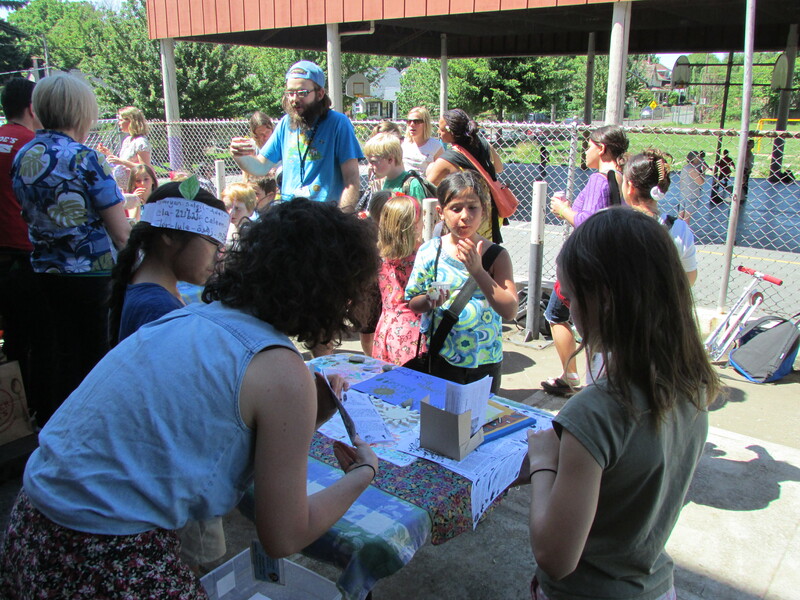 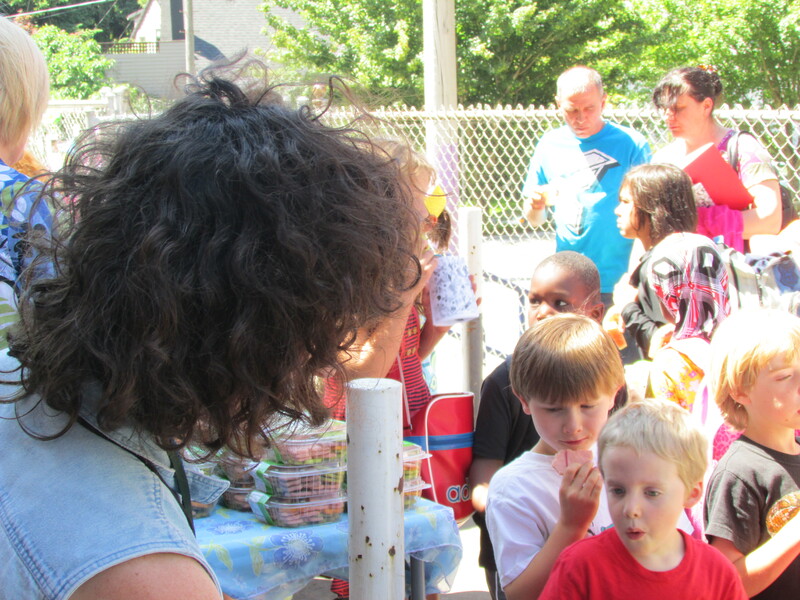 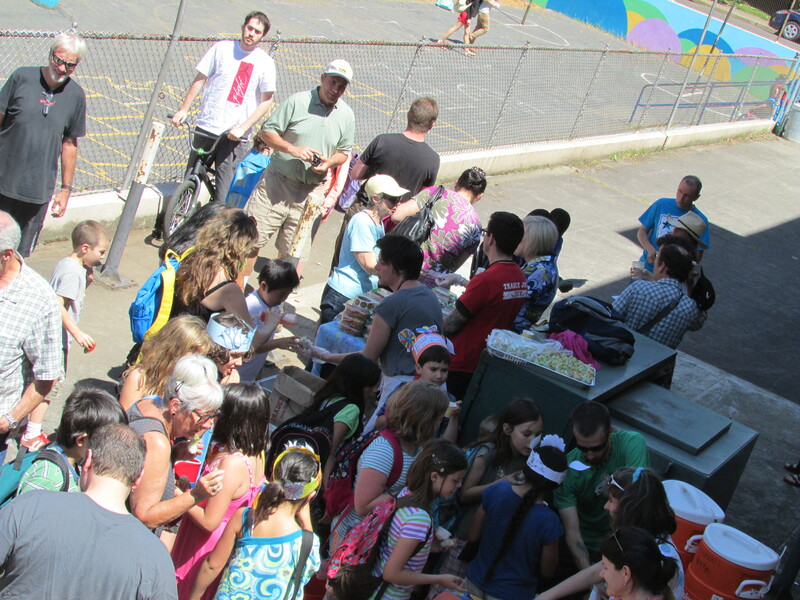 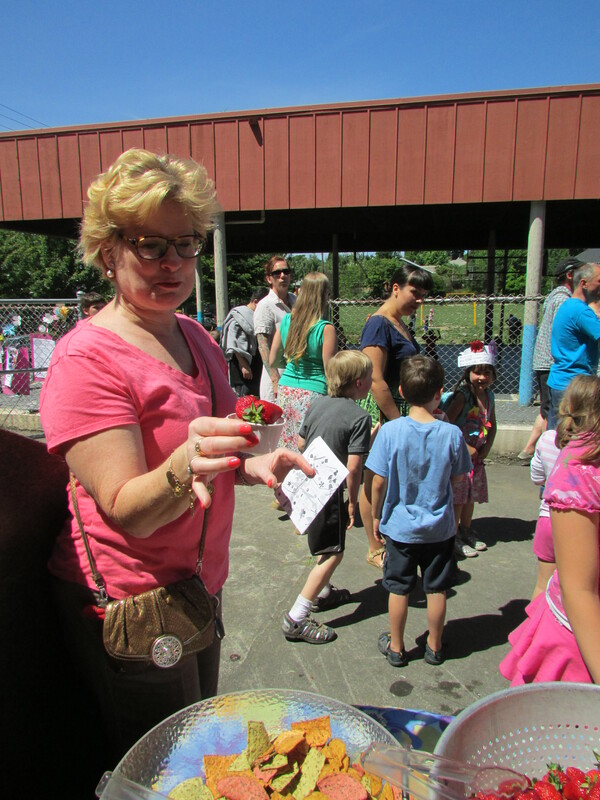 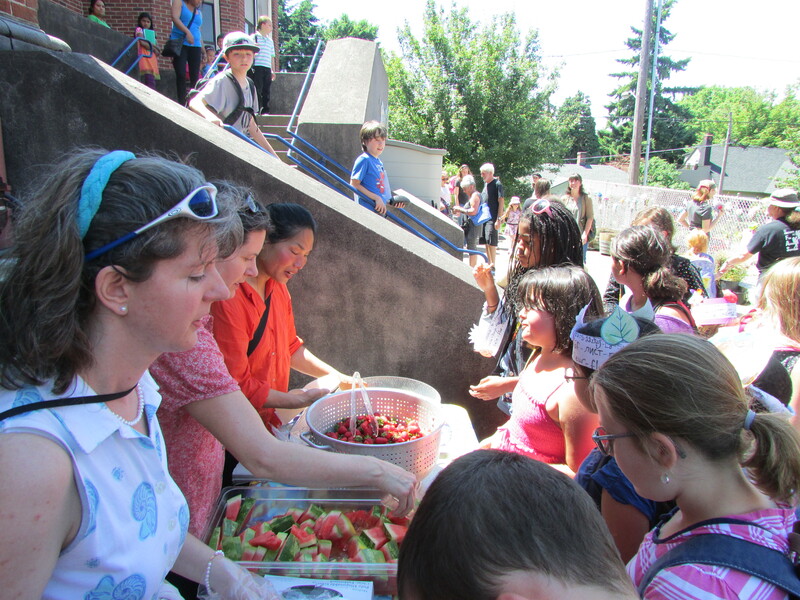 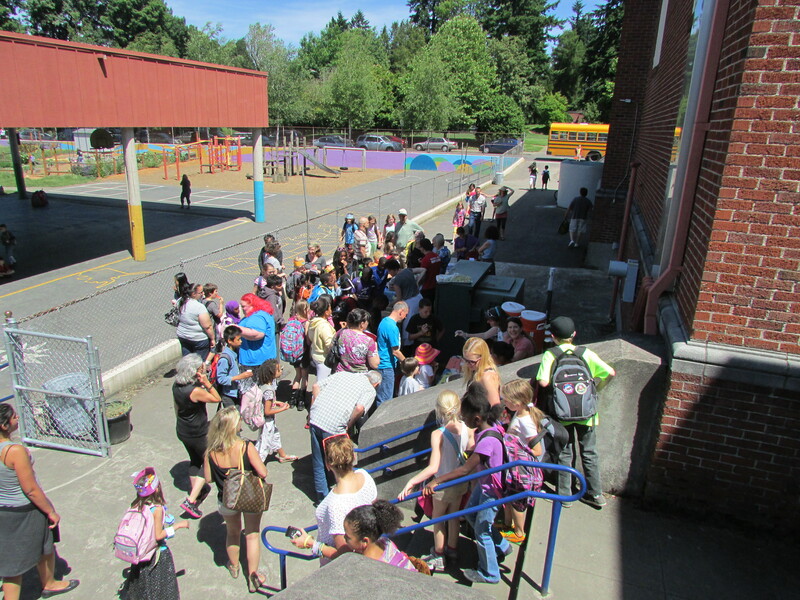 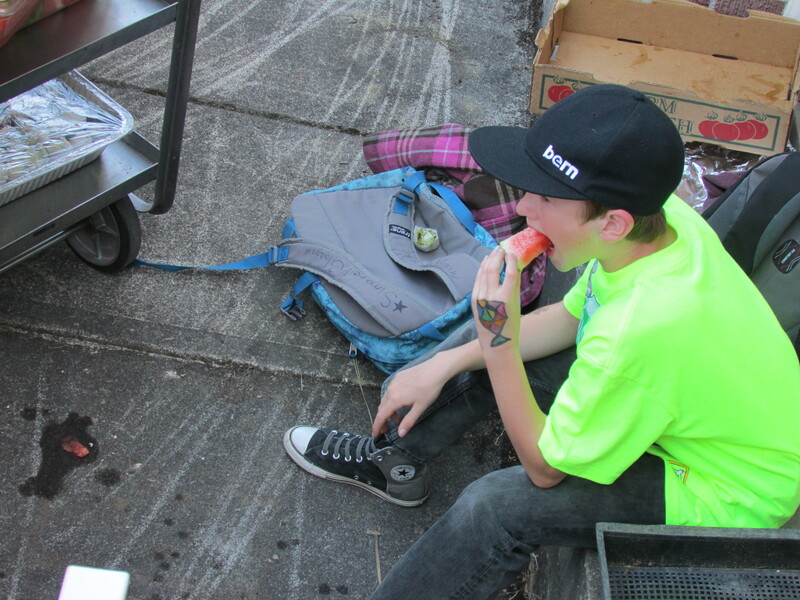 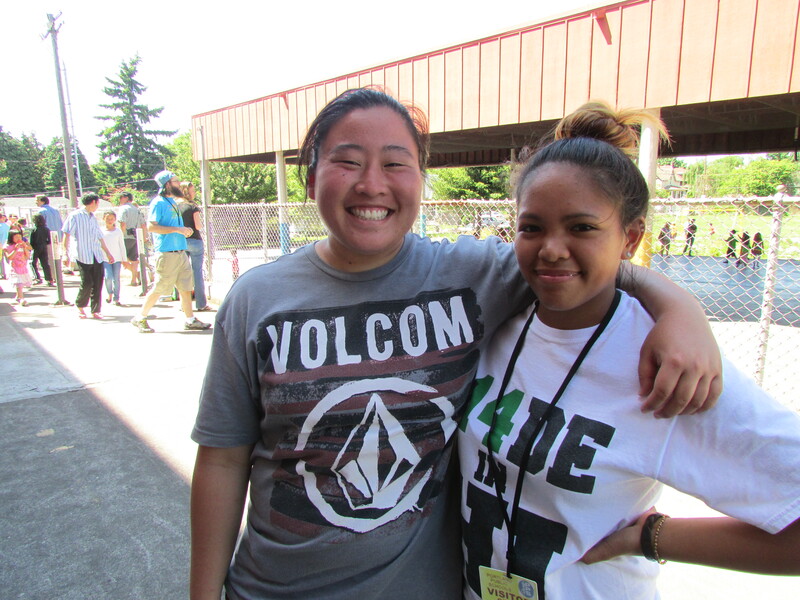 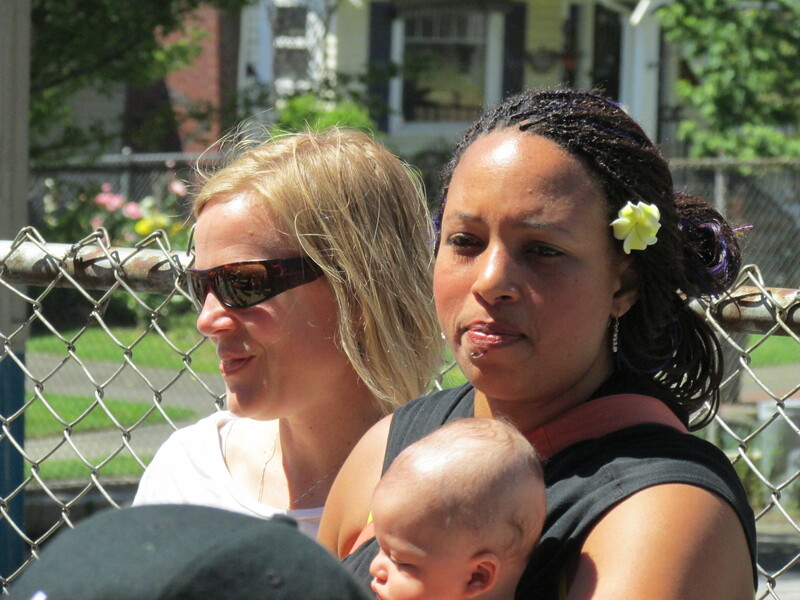 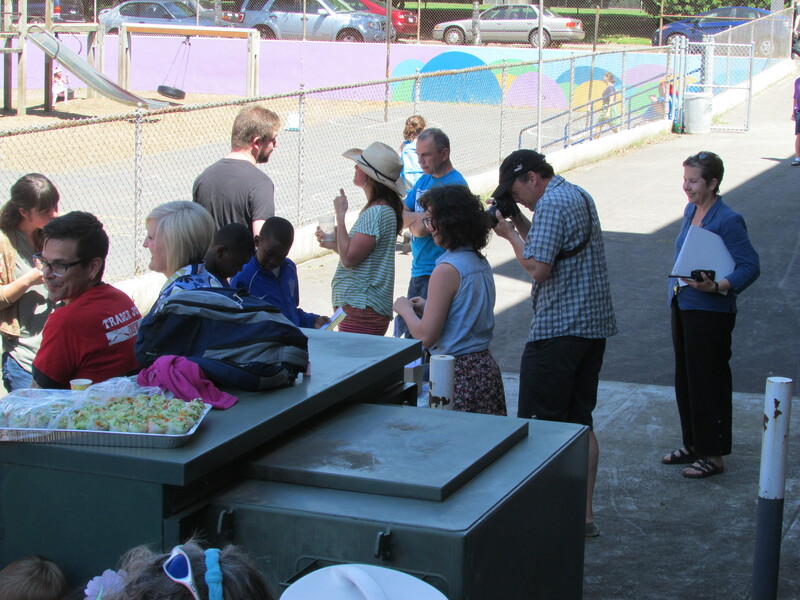 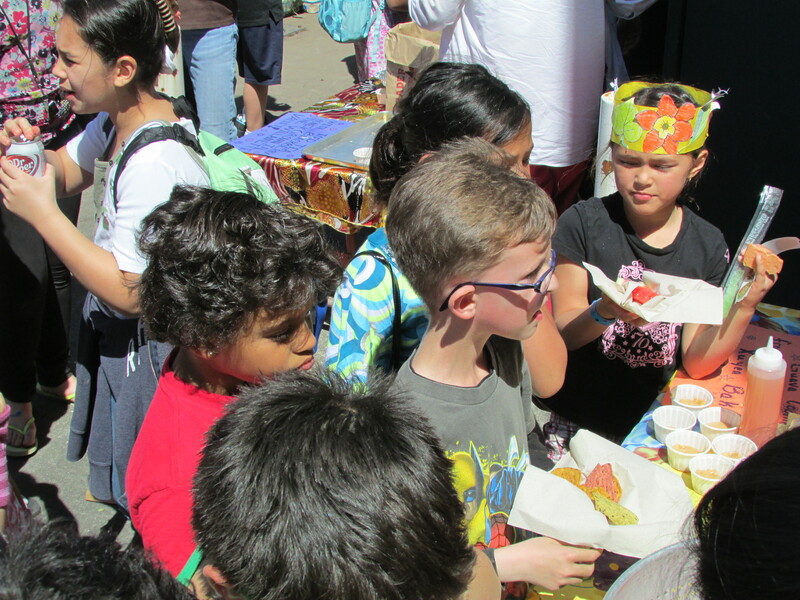 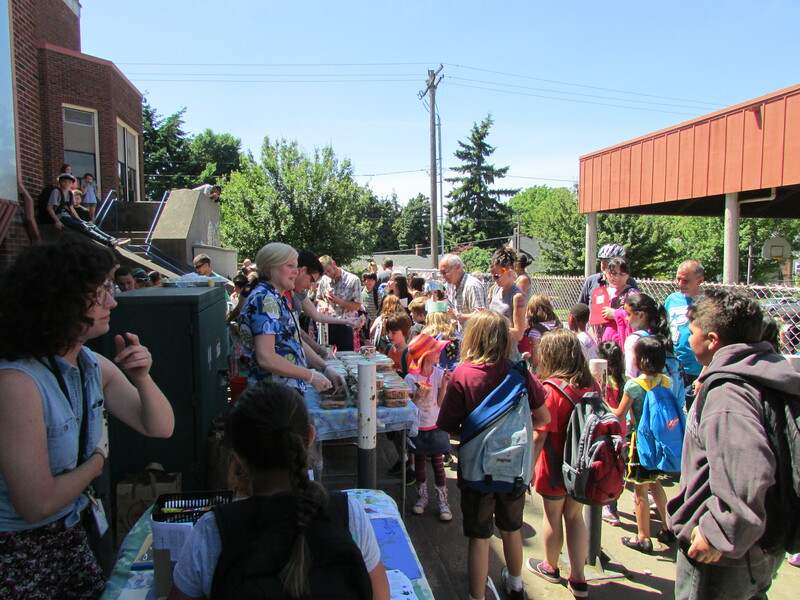 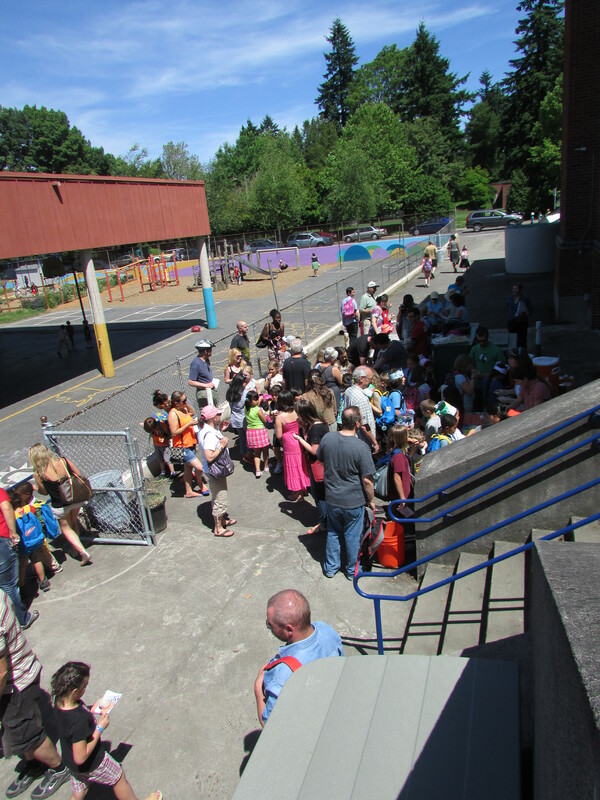 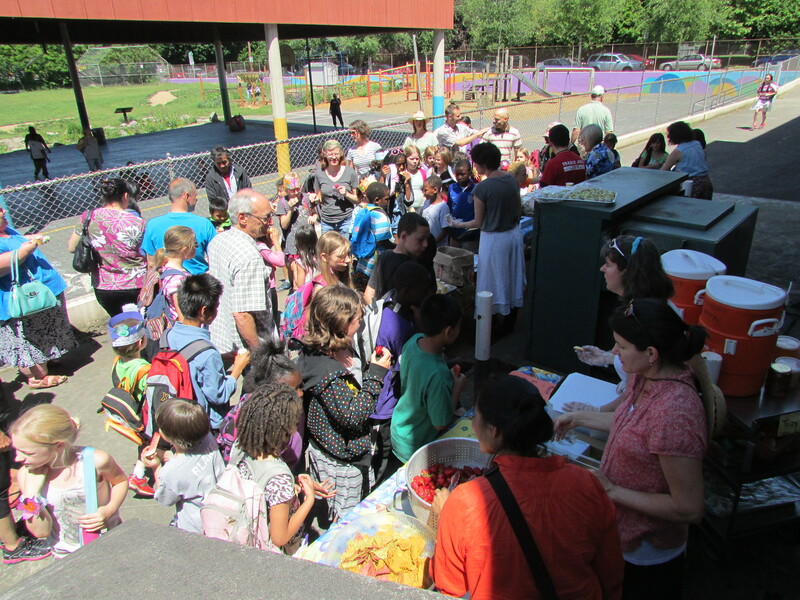 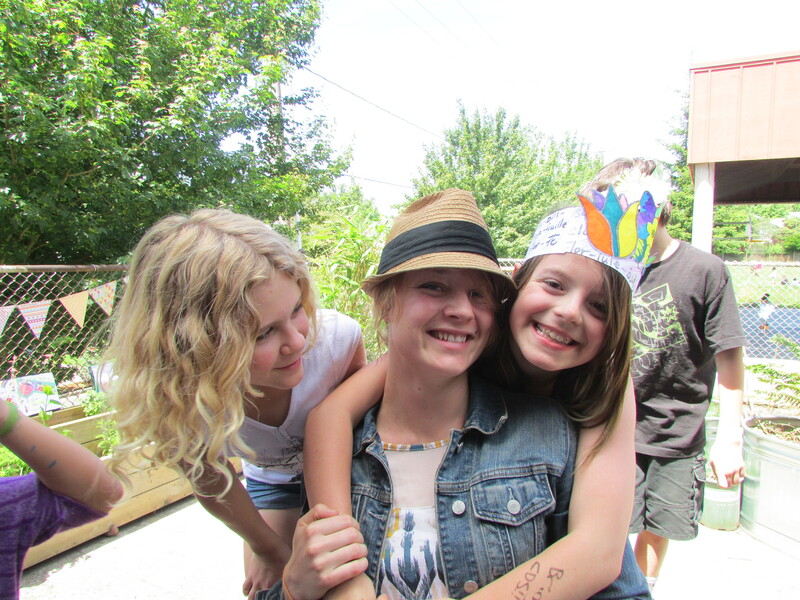 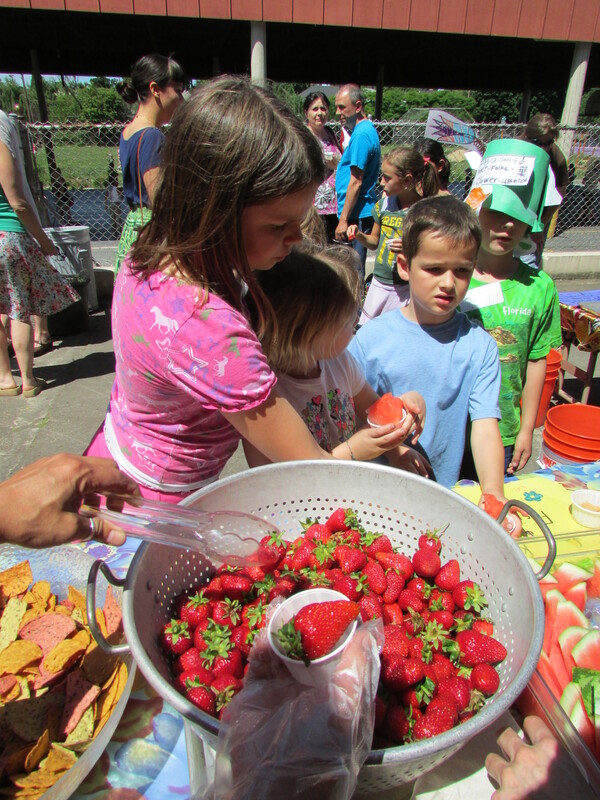 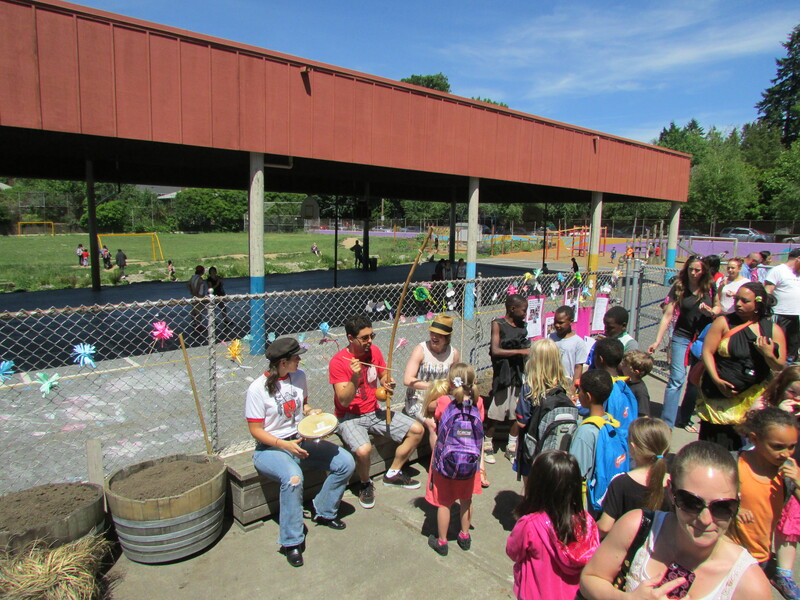 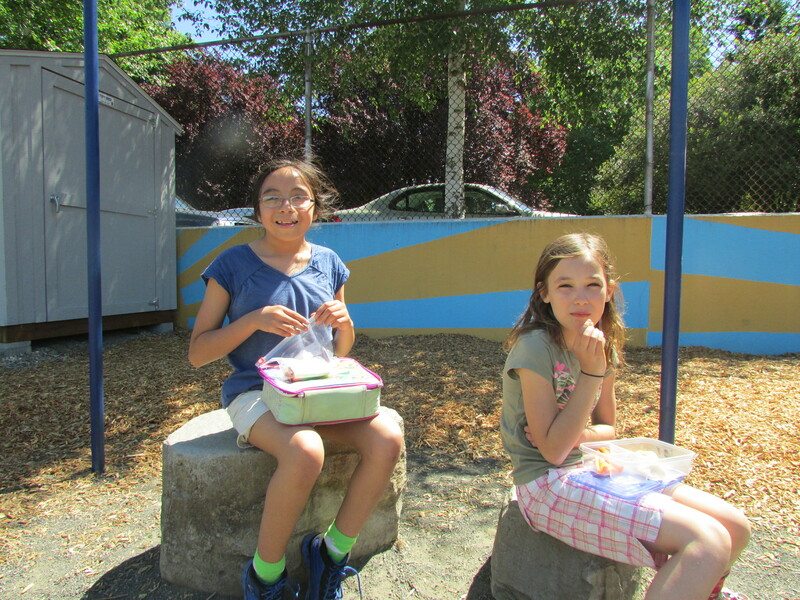 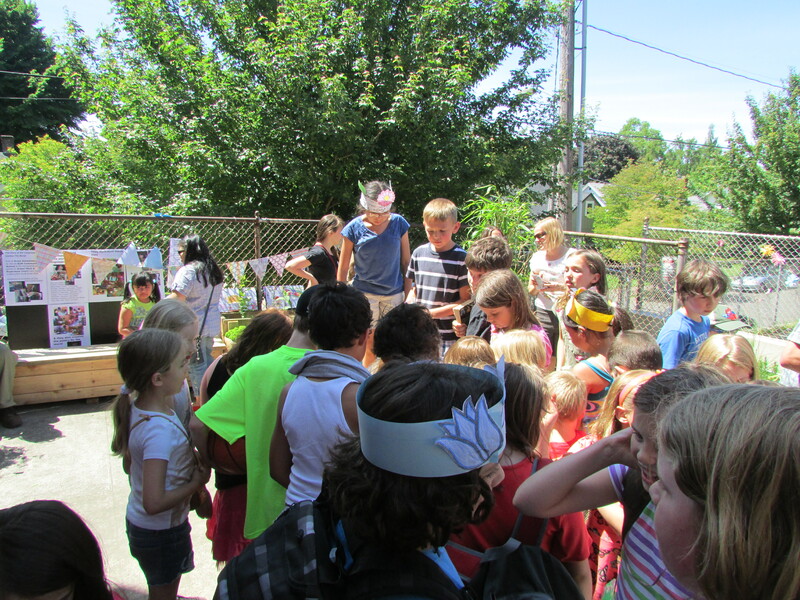 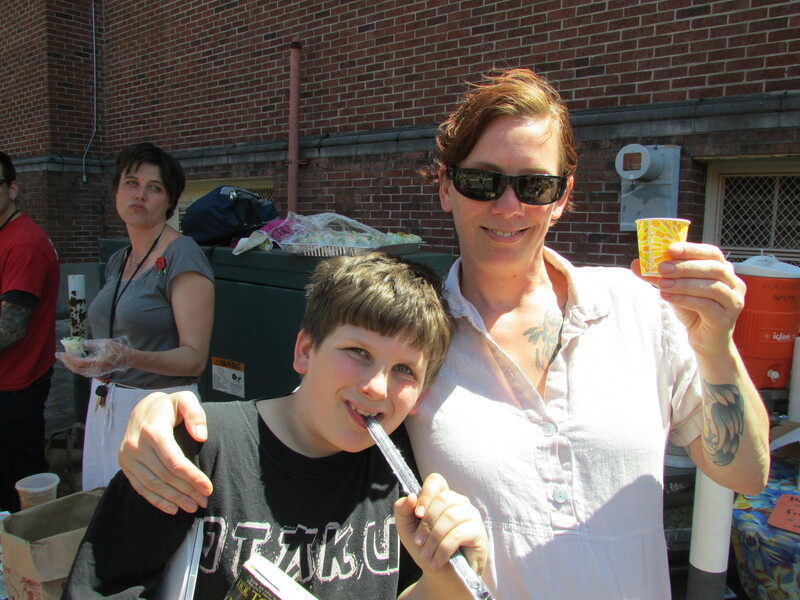 On June 5th, our community celebrated our mural with food and music. 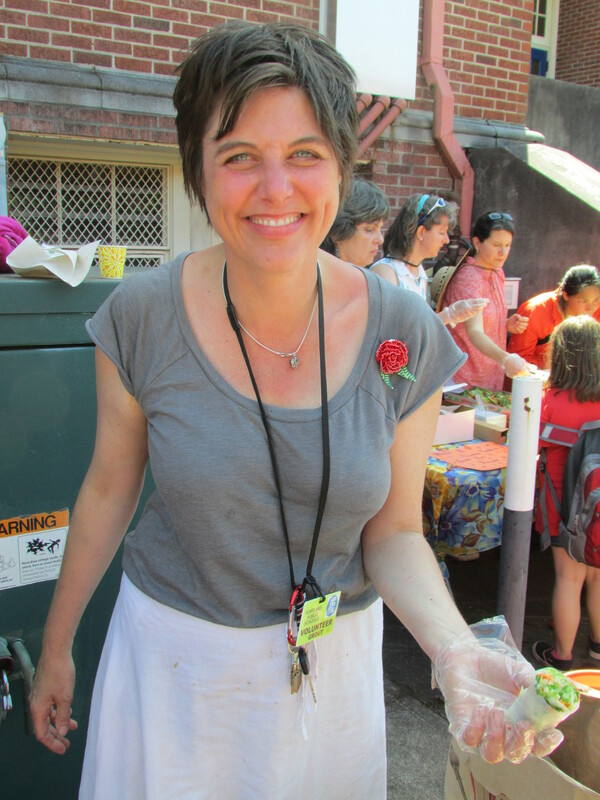 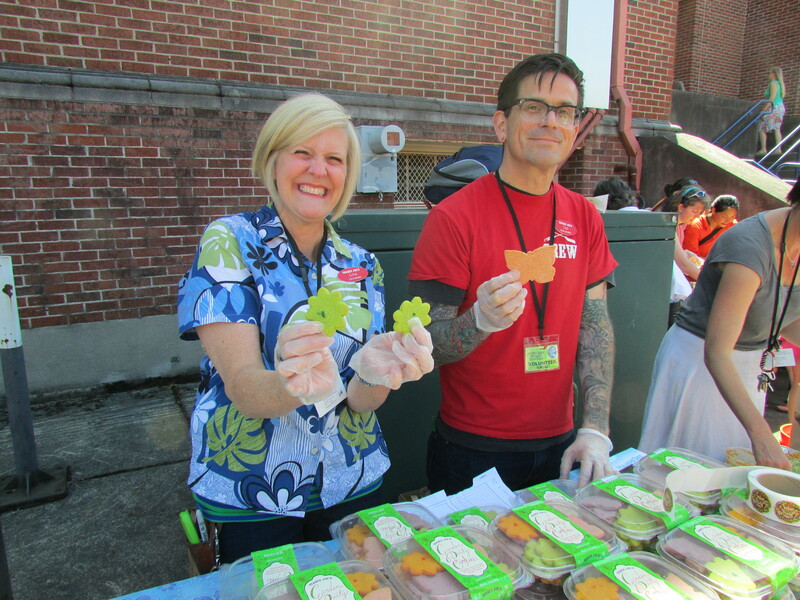 Thank you to Portland State University Department of Applied Linguistics for providing salad rolls that celebrate our garden! 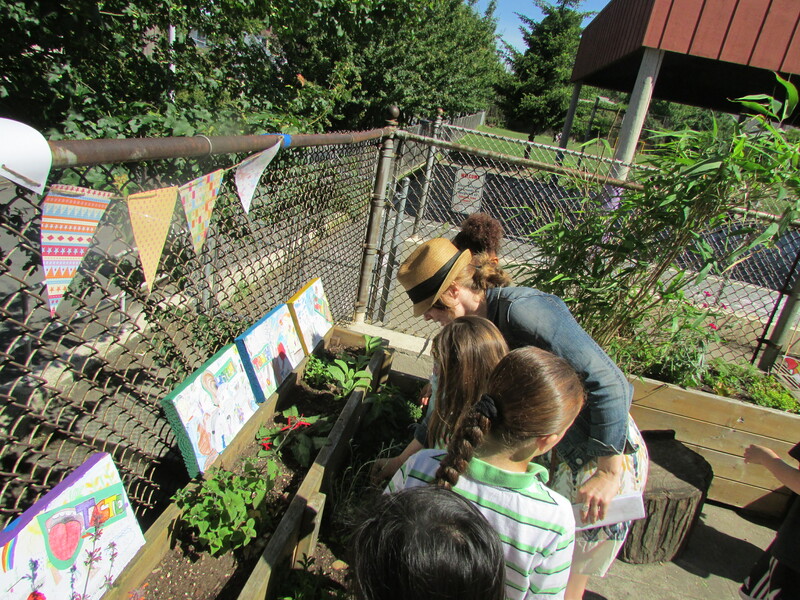 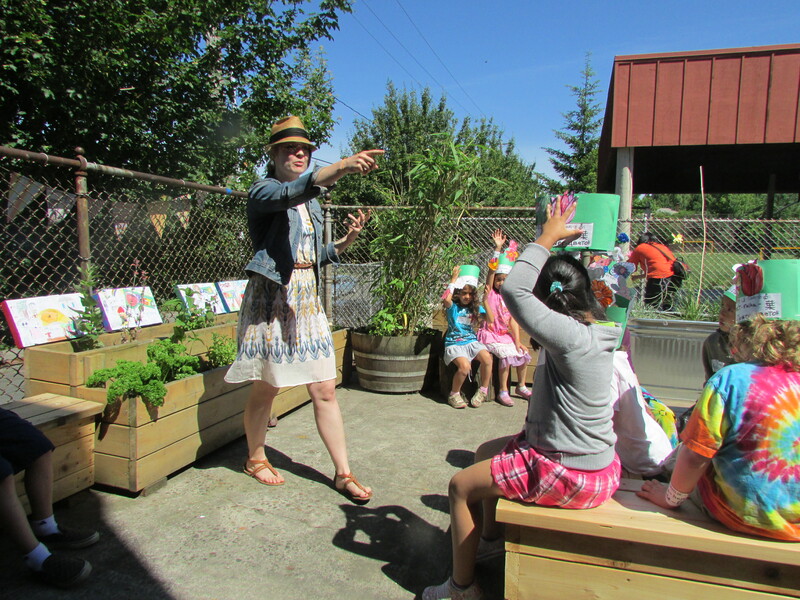 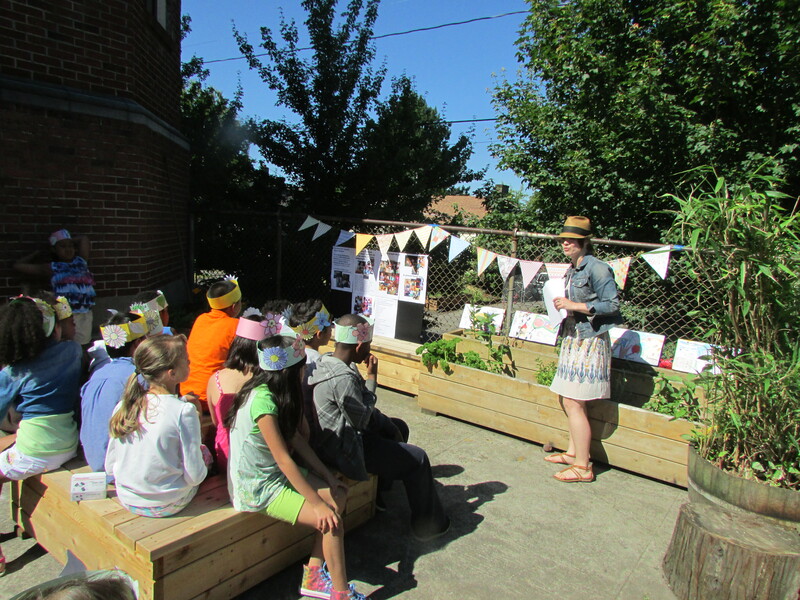 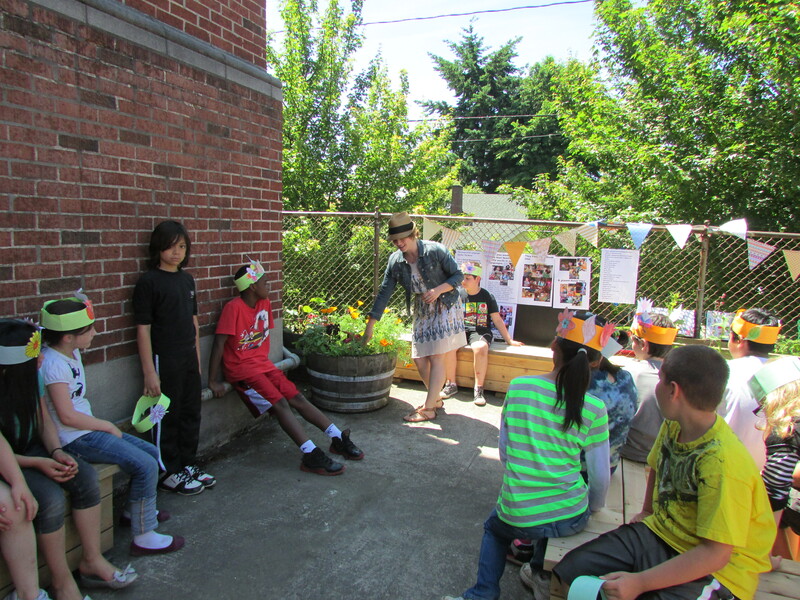 Lindsay Ruoff led SUN School kids in making book with recipes connected to our gardens and a collaborative poem. 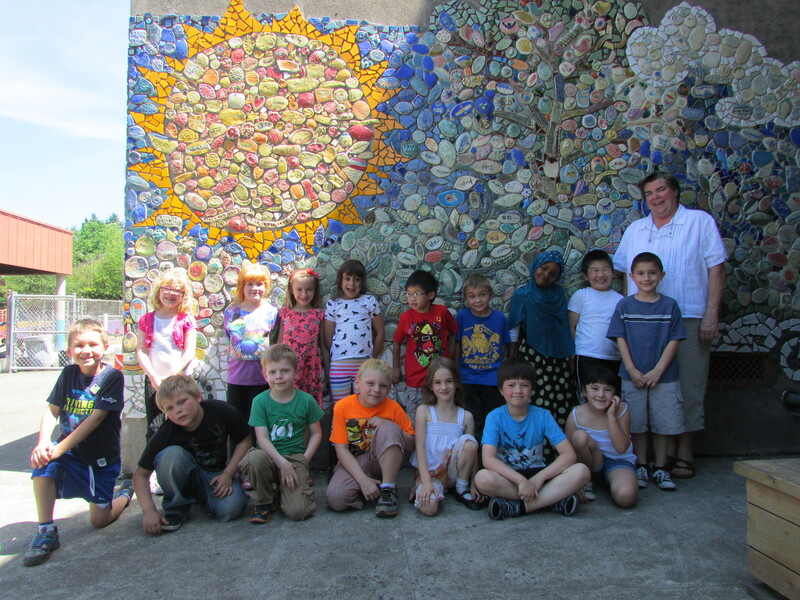 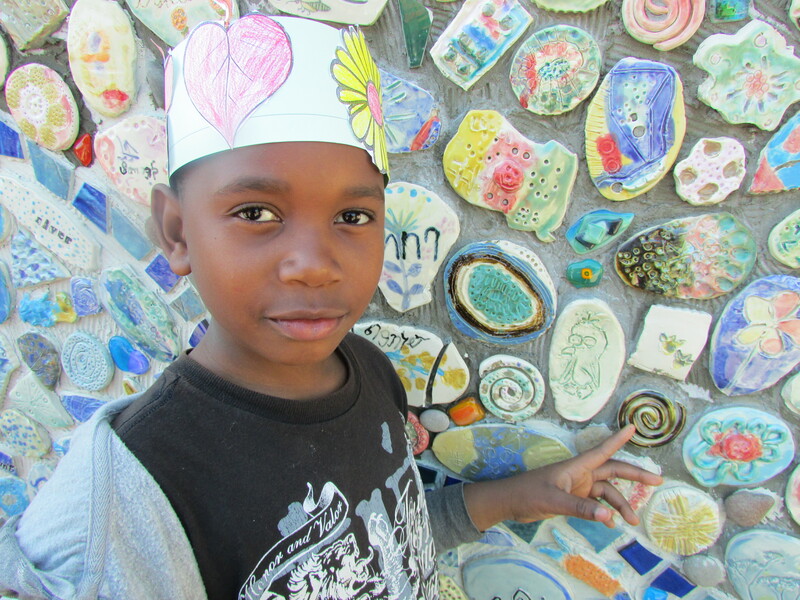 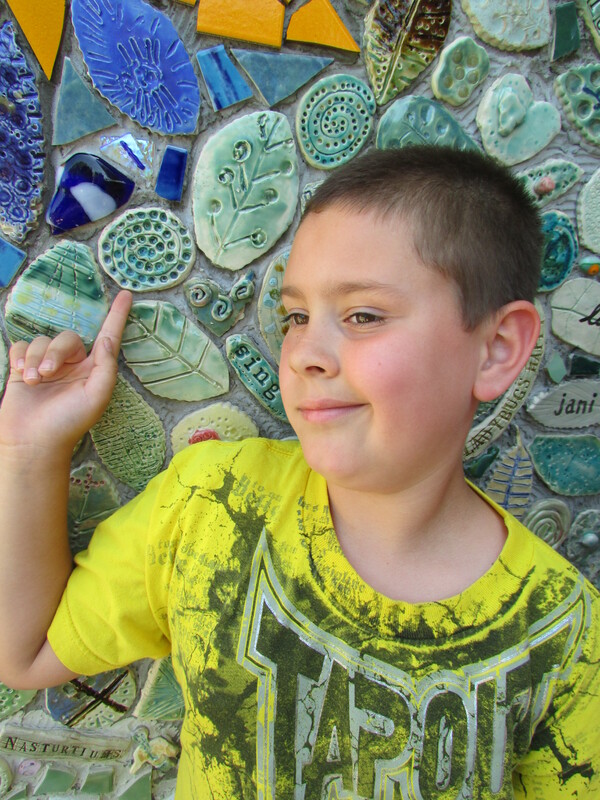 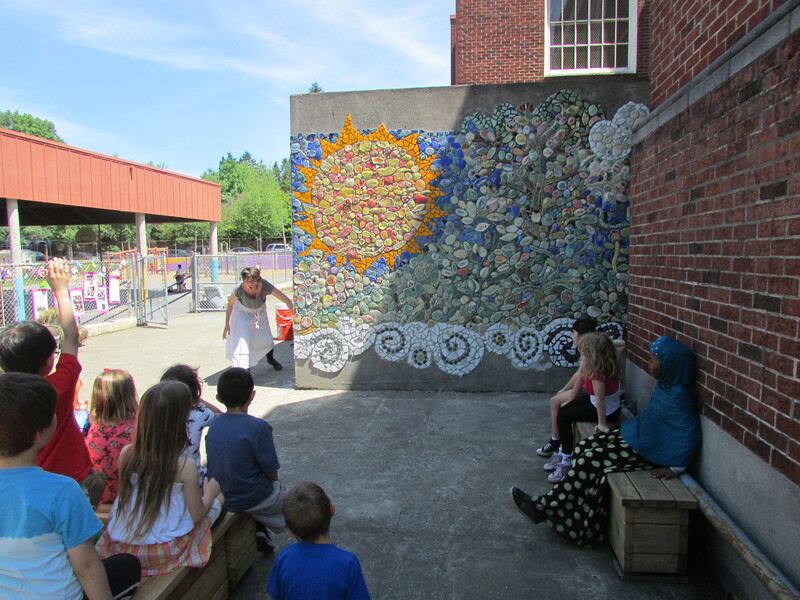 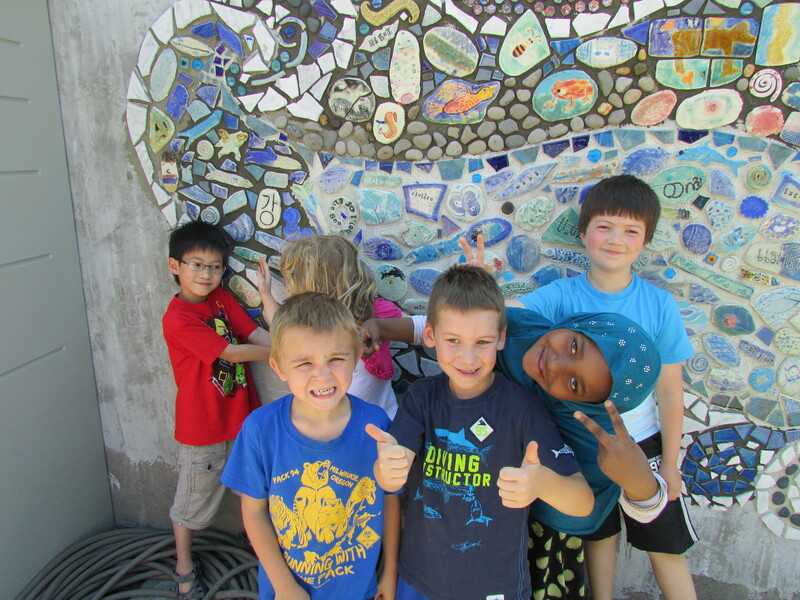 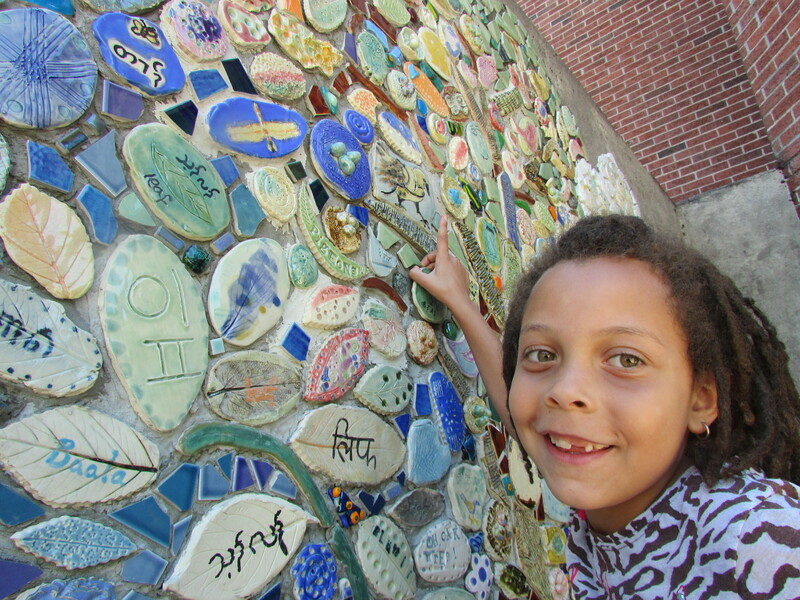 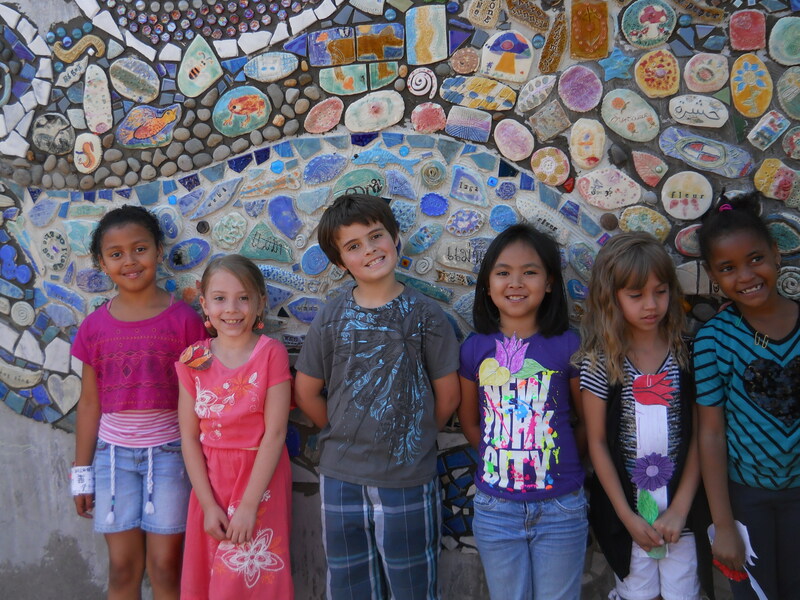 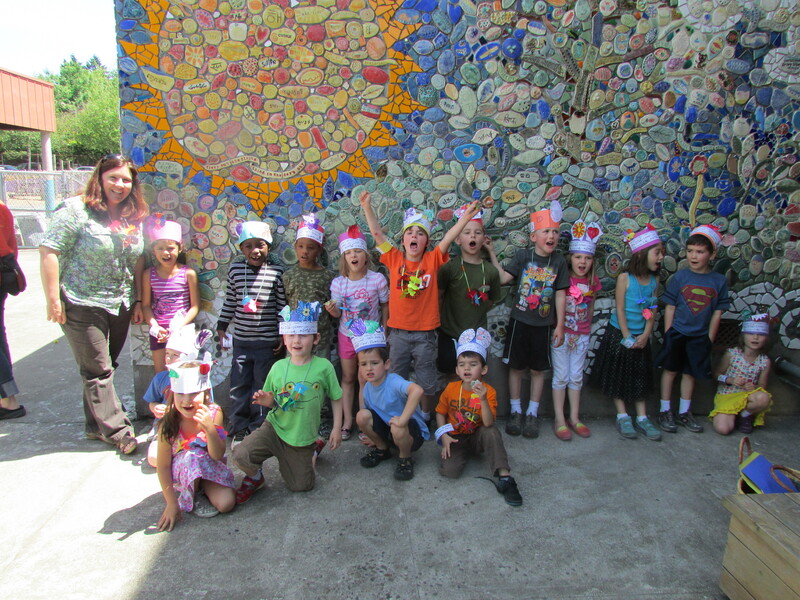 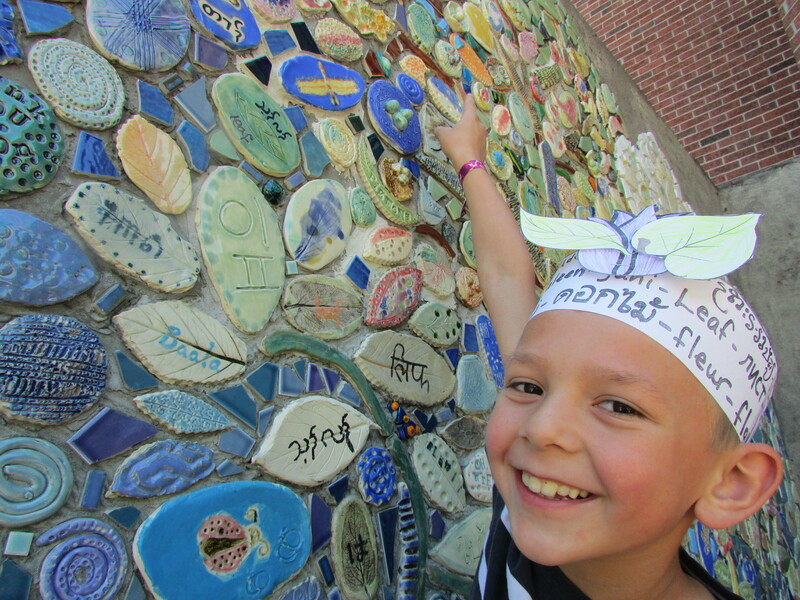 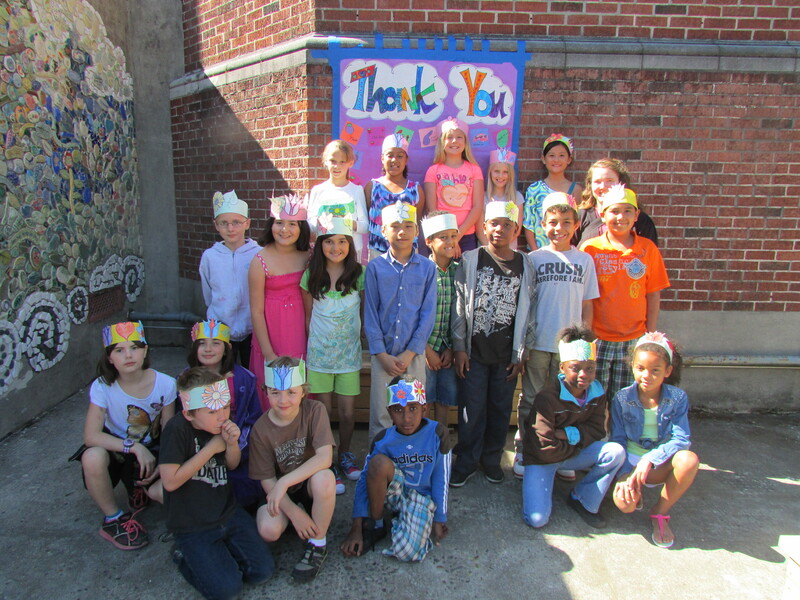 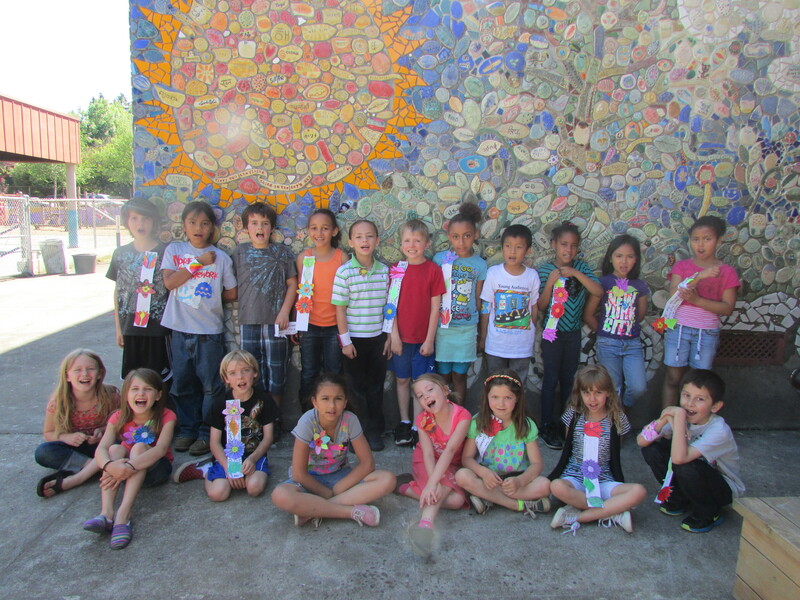 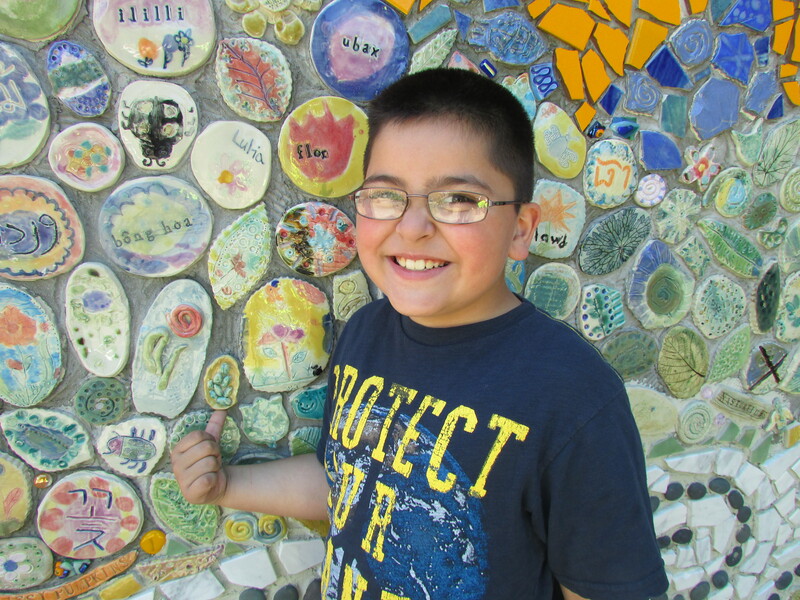 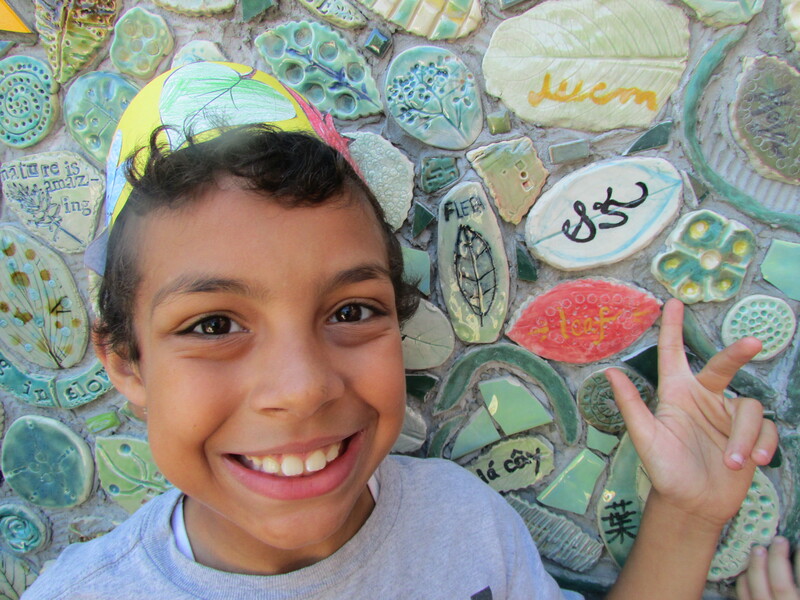 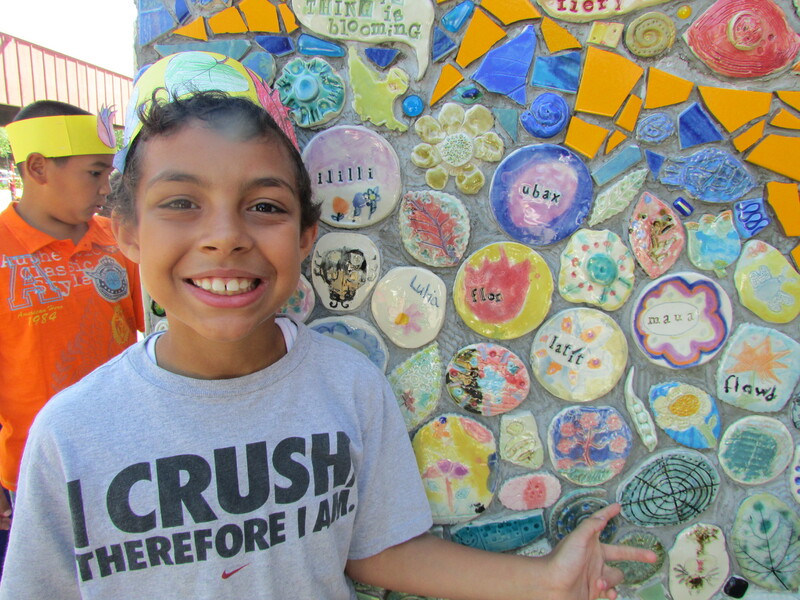 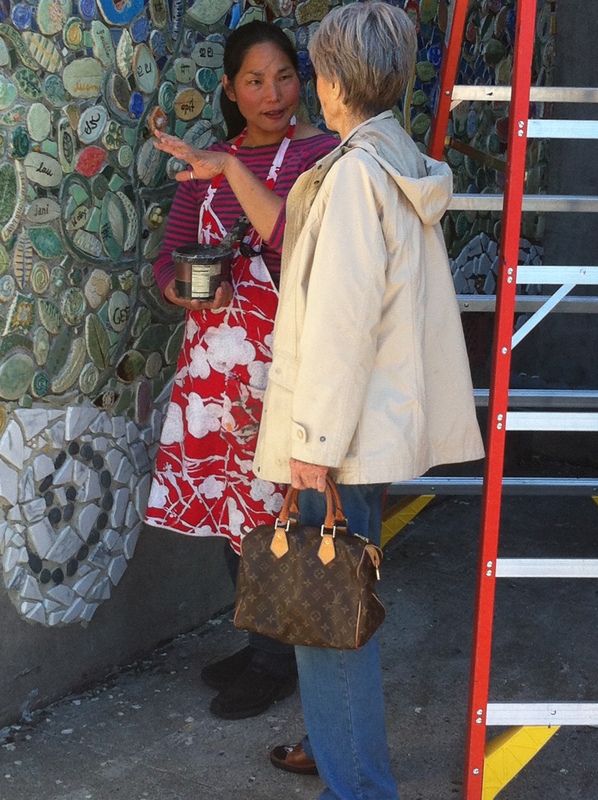 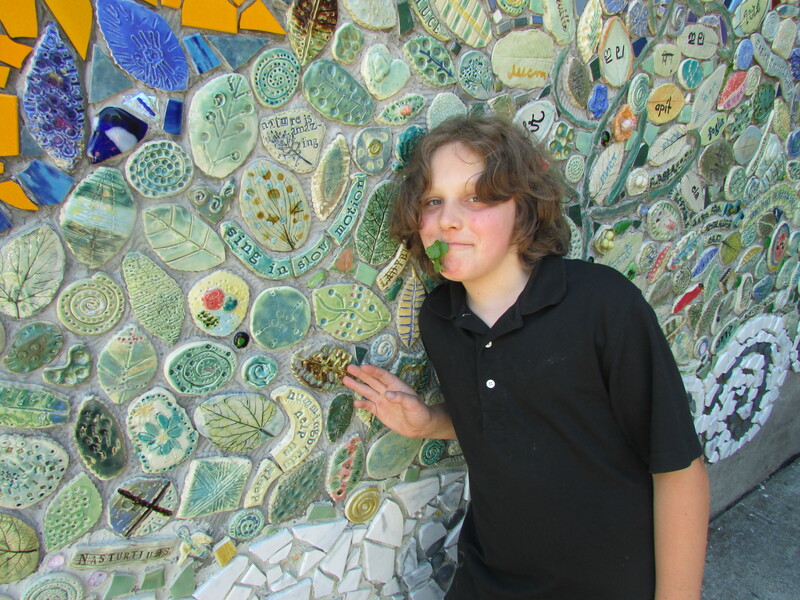 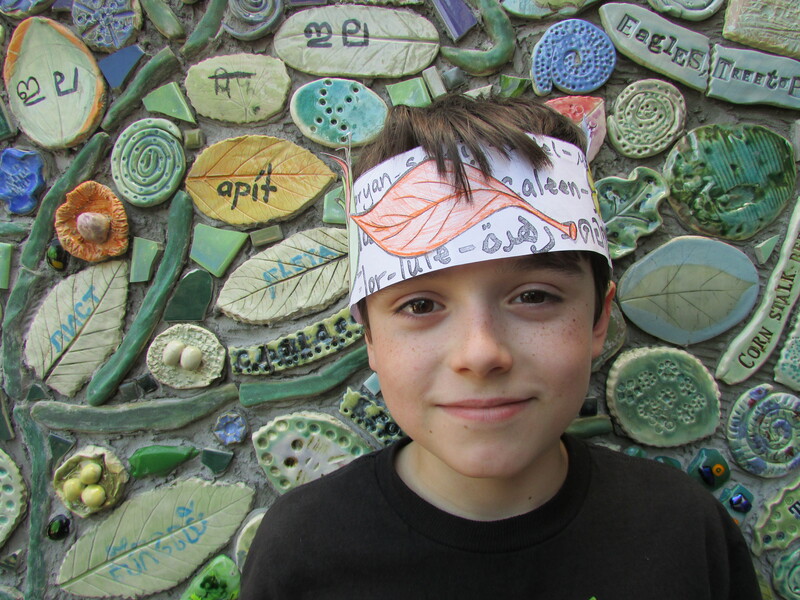 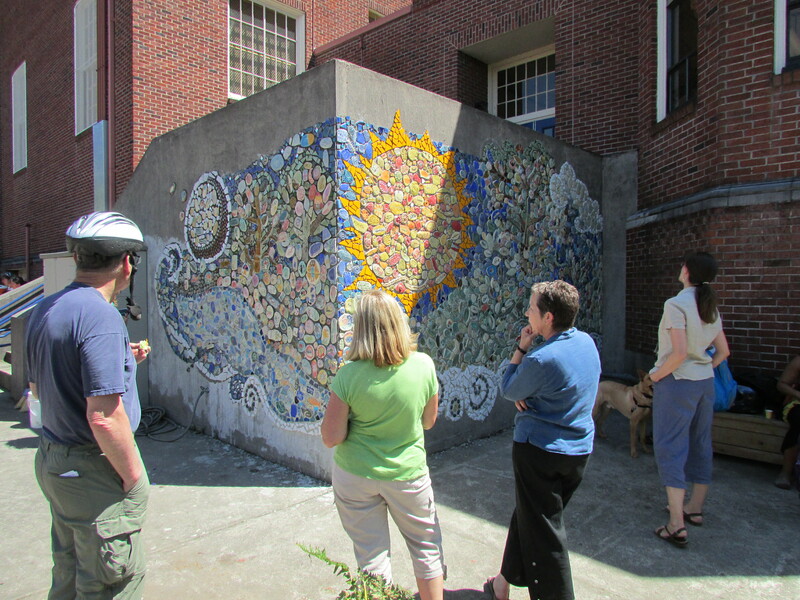 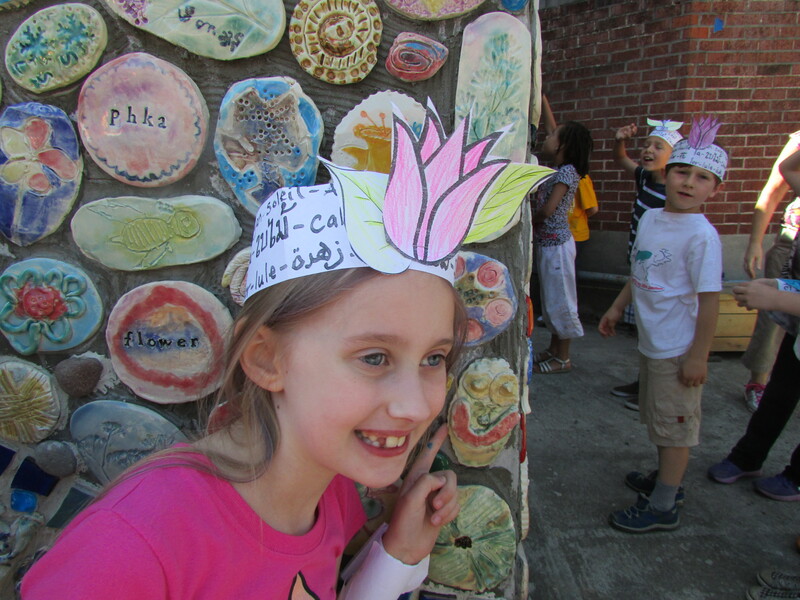 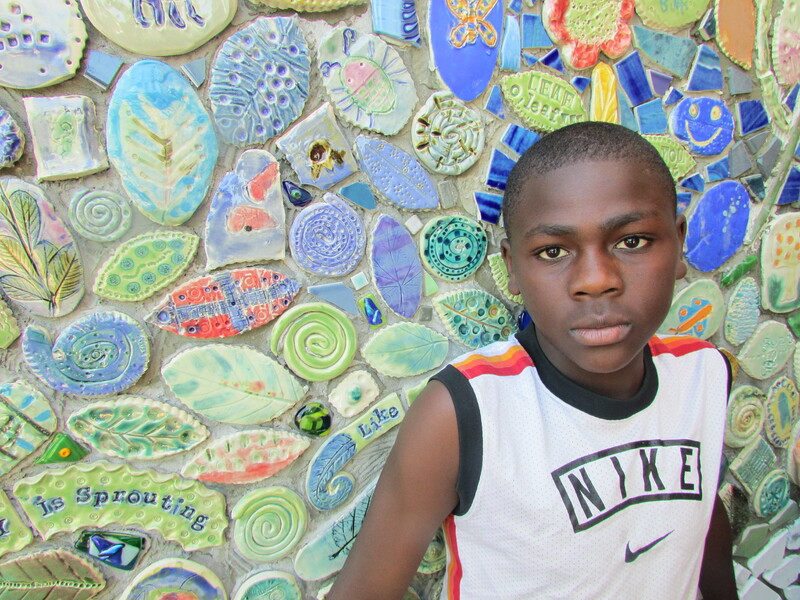 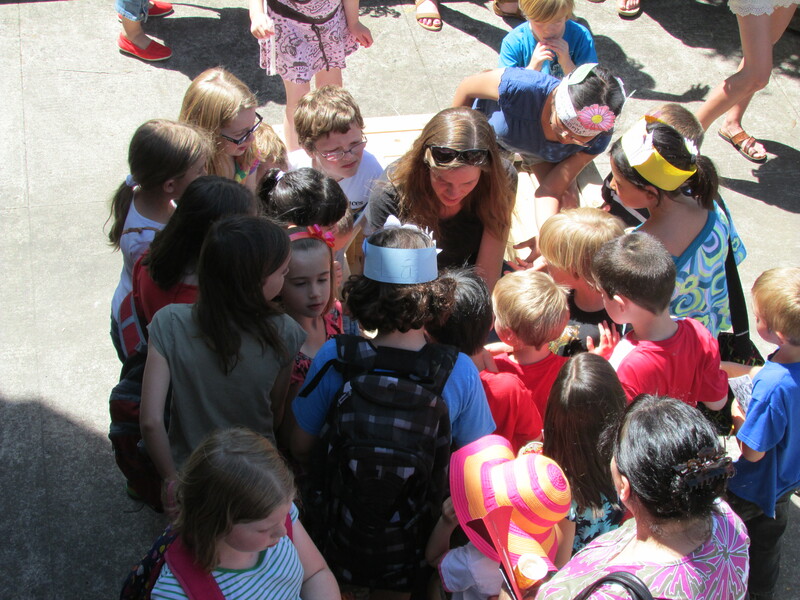 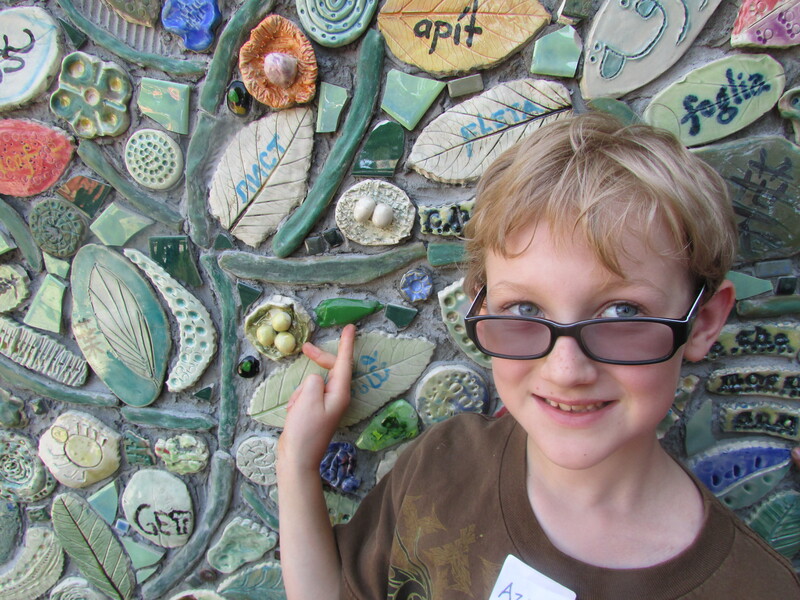 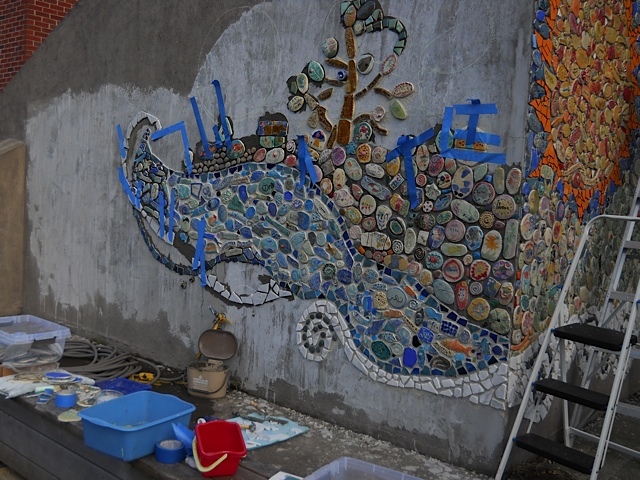 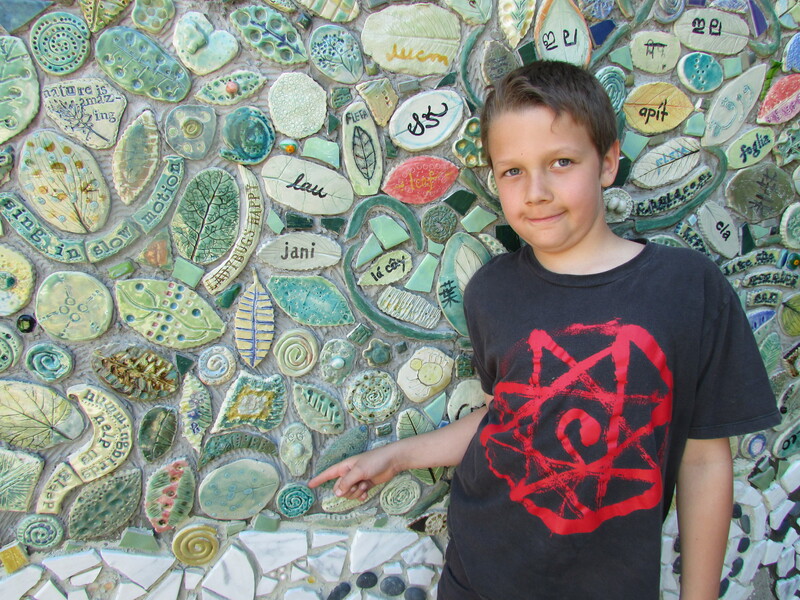 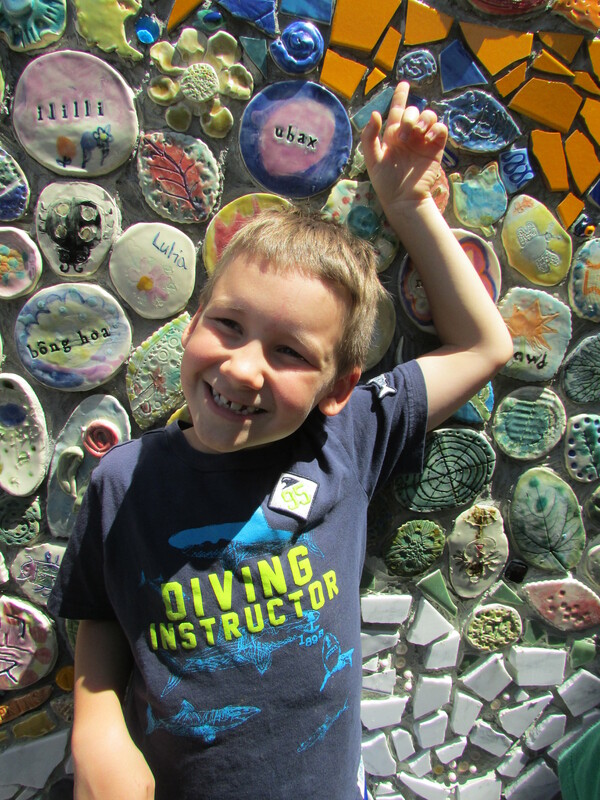 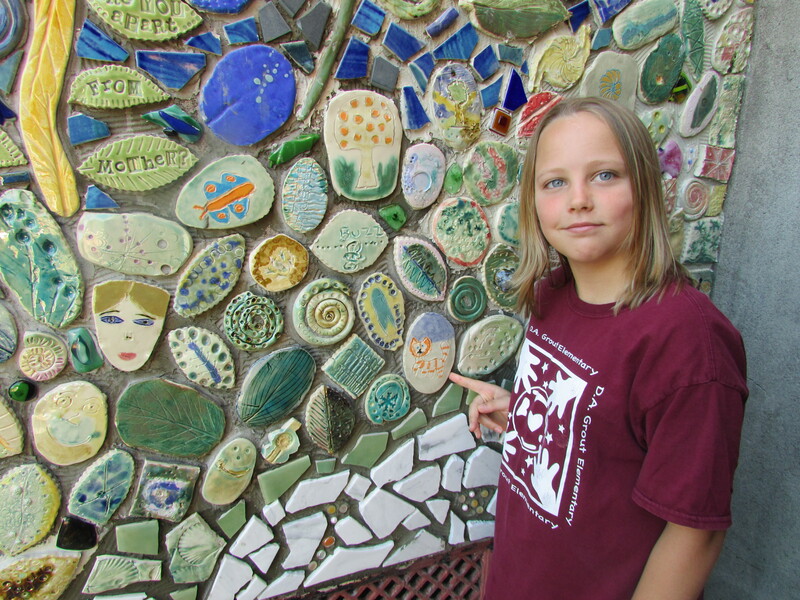 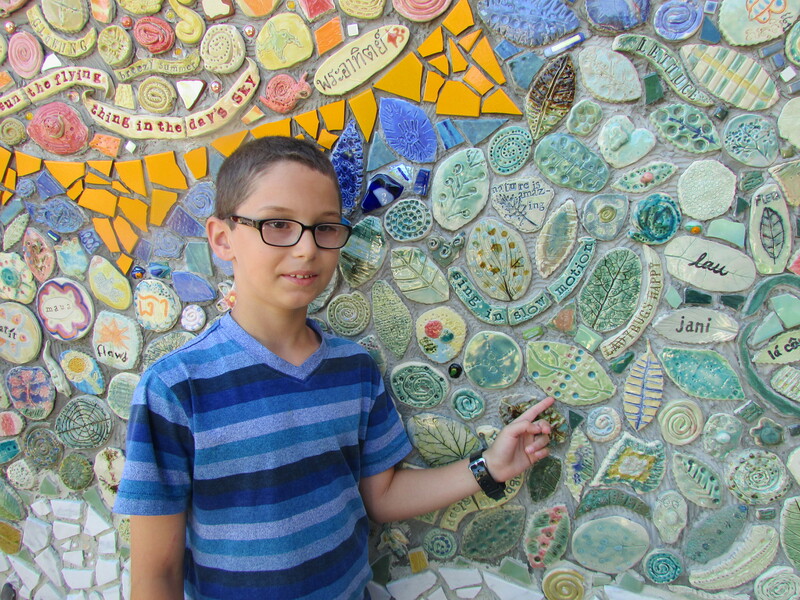 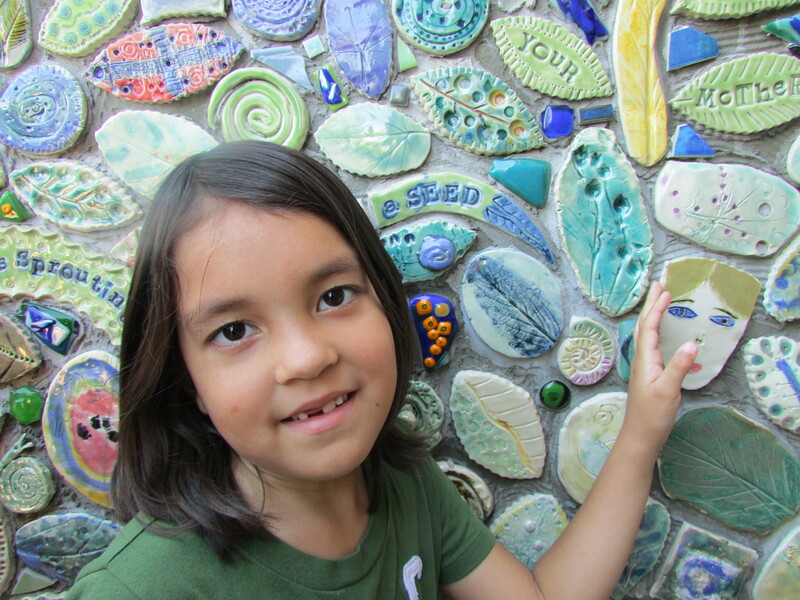 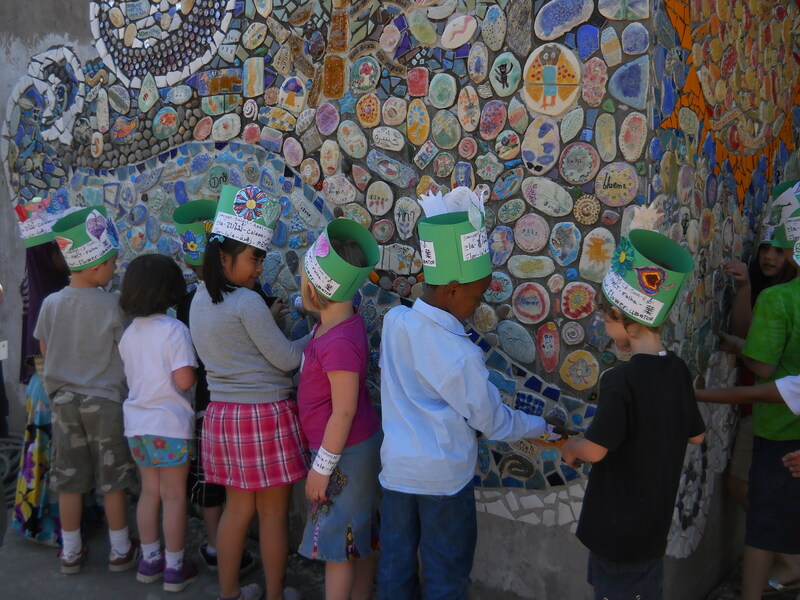 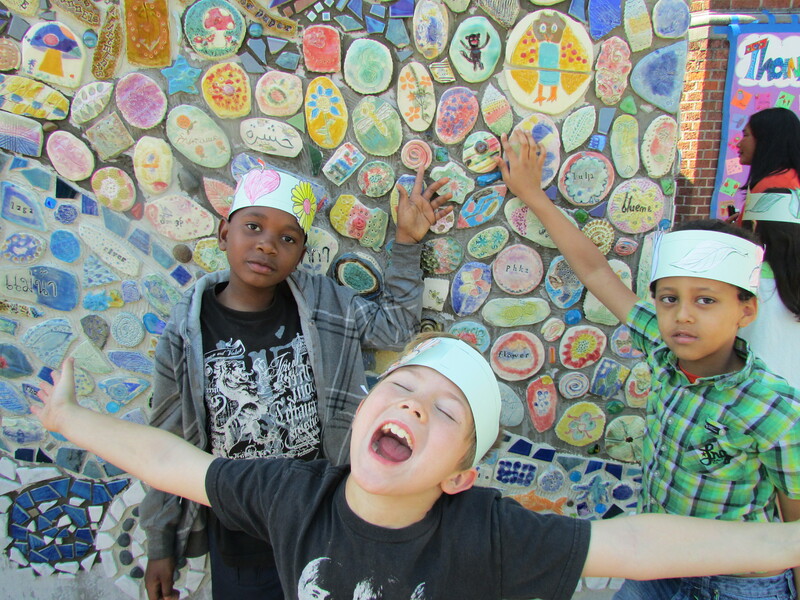 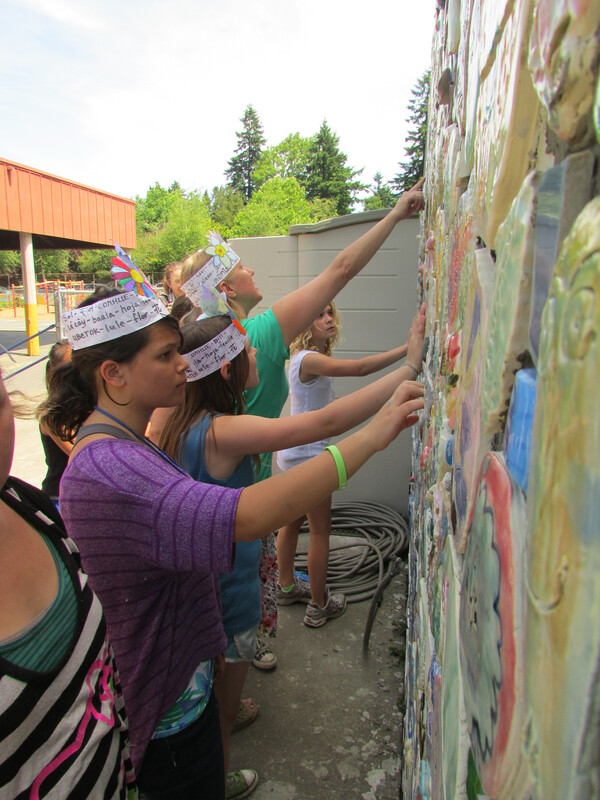 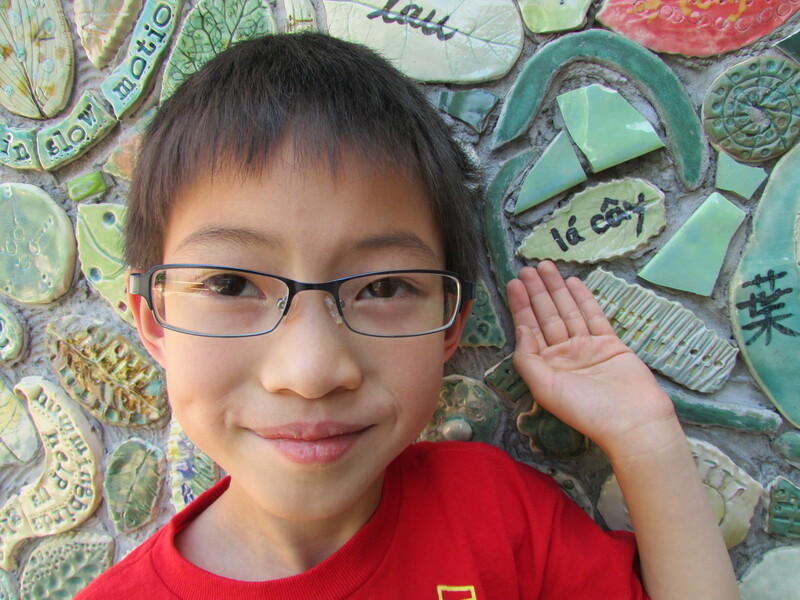 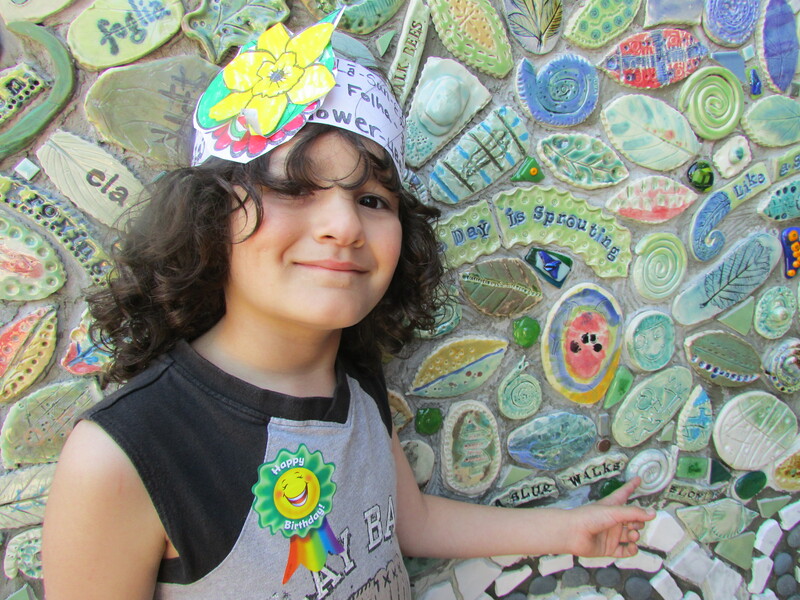 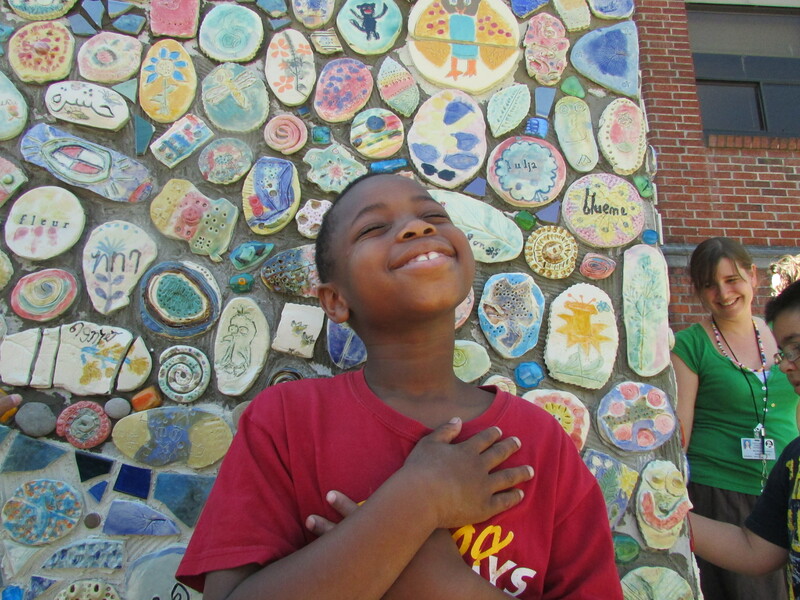 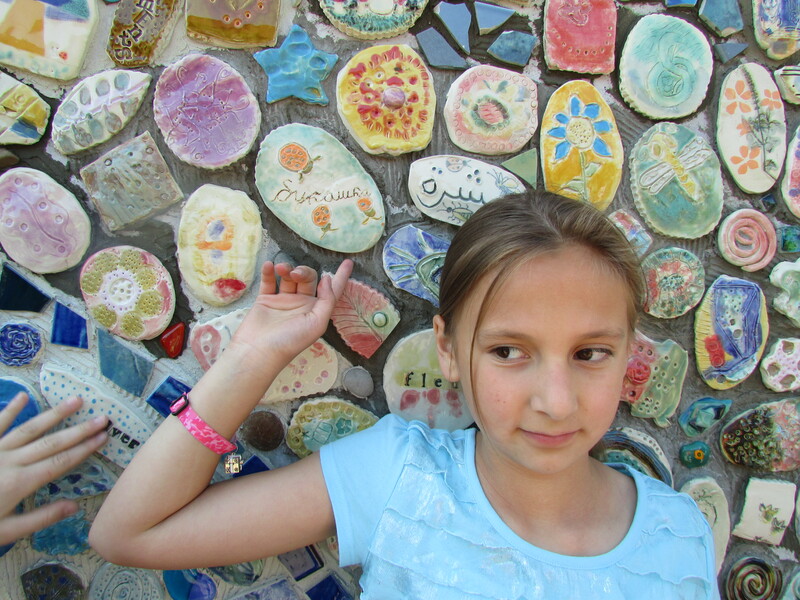 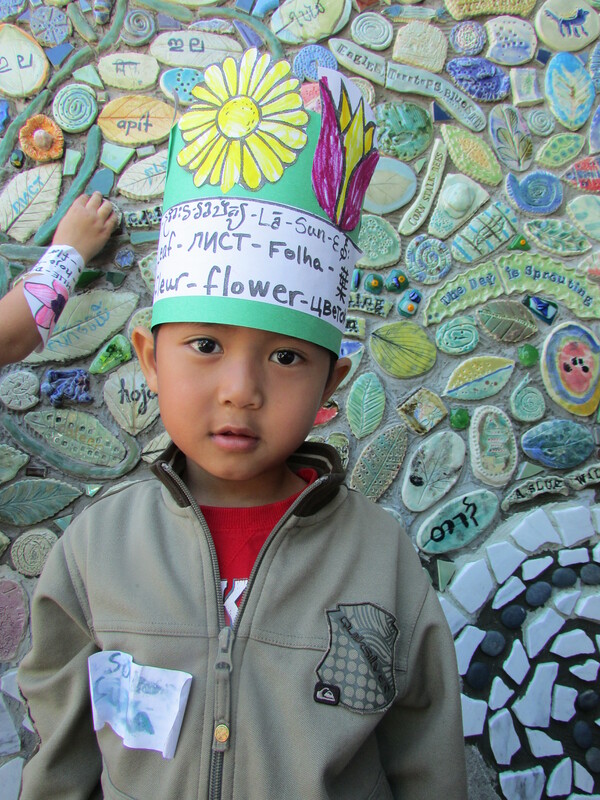 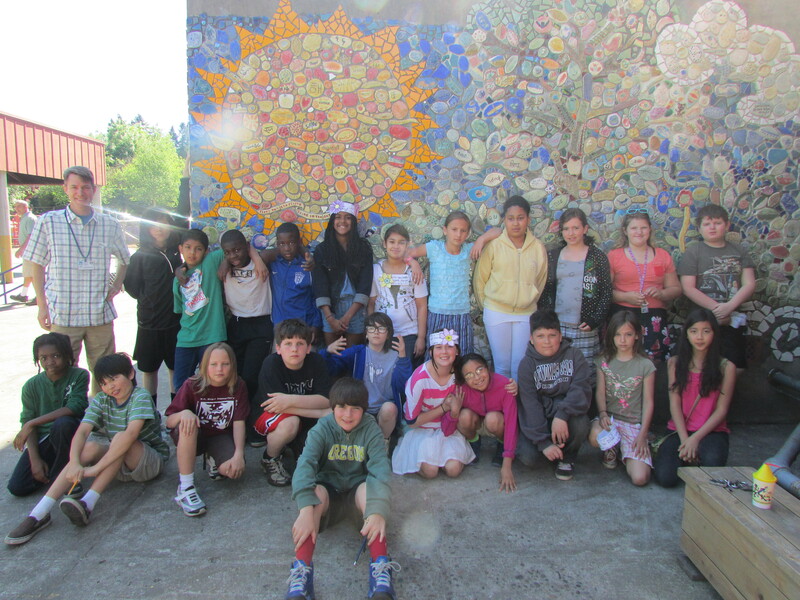 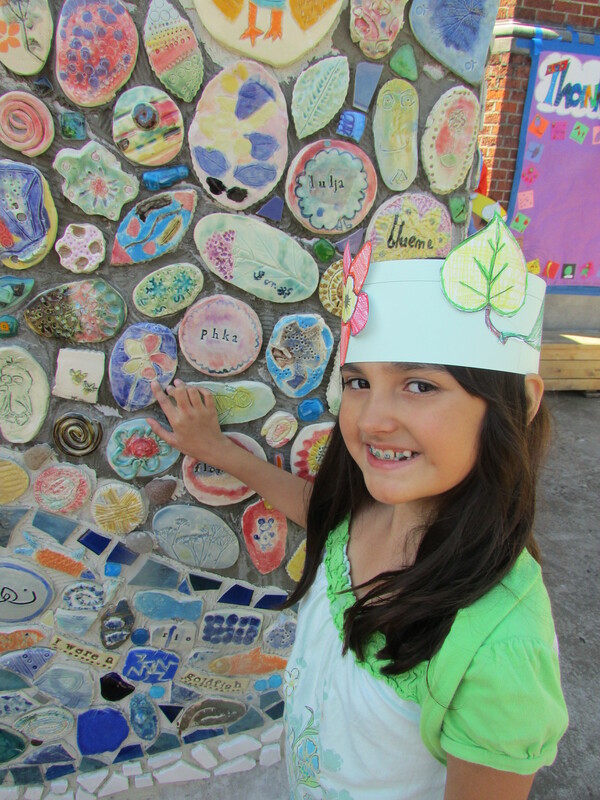 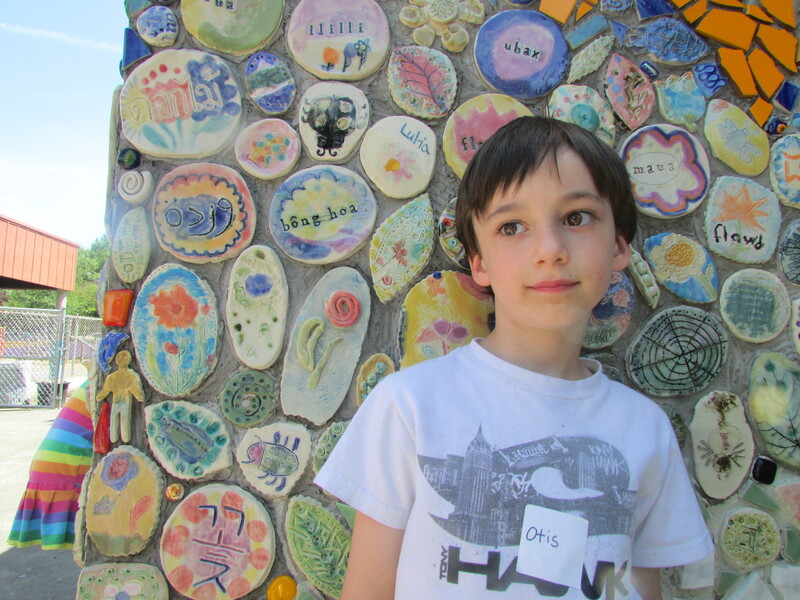 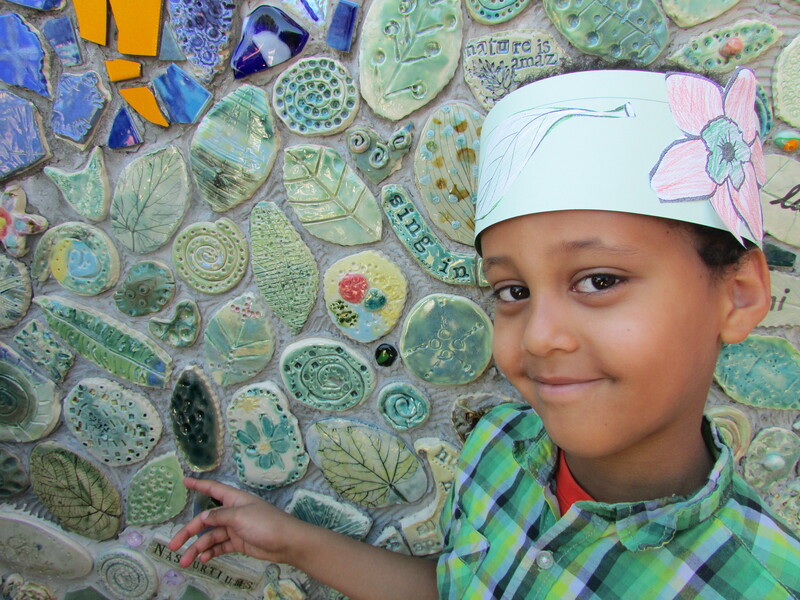 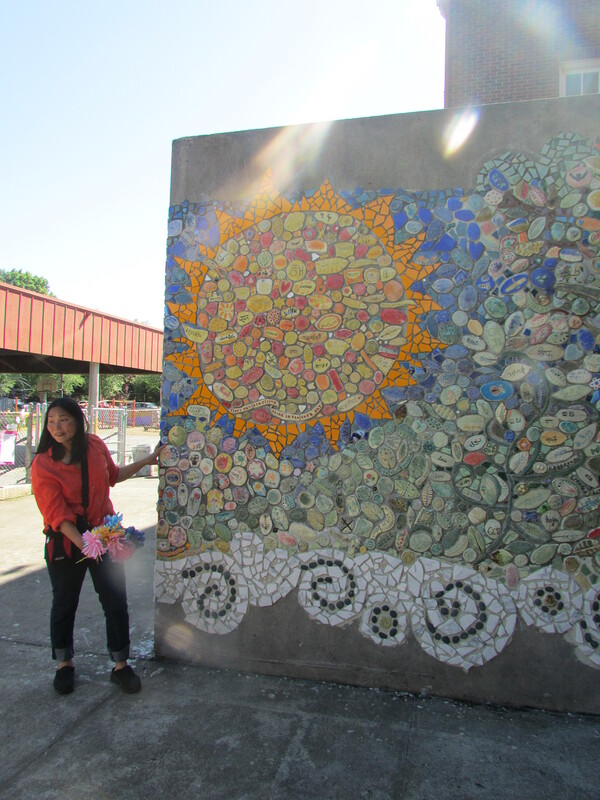 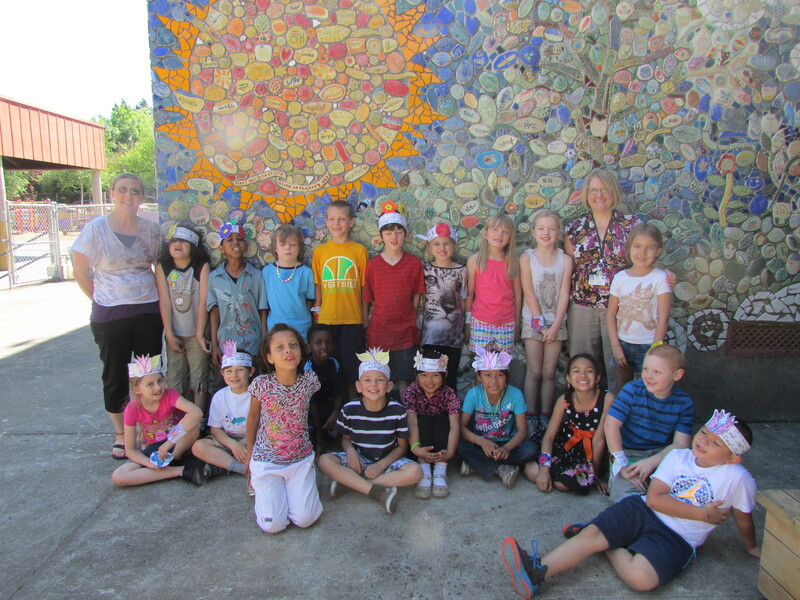 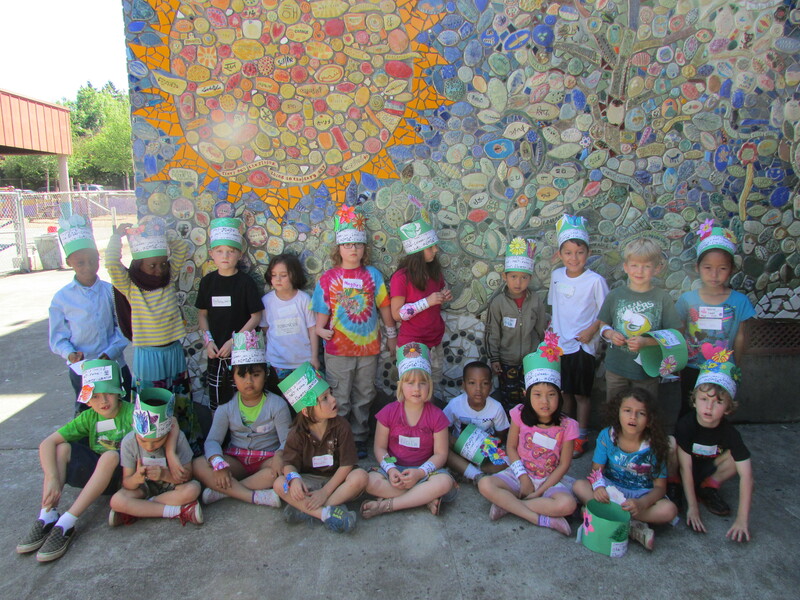 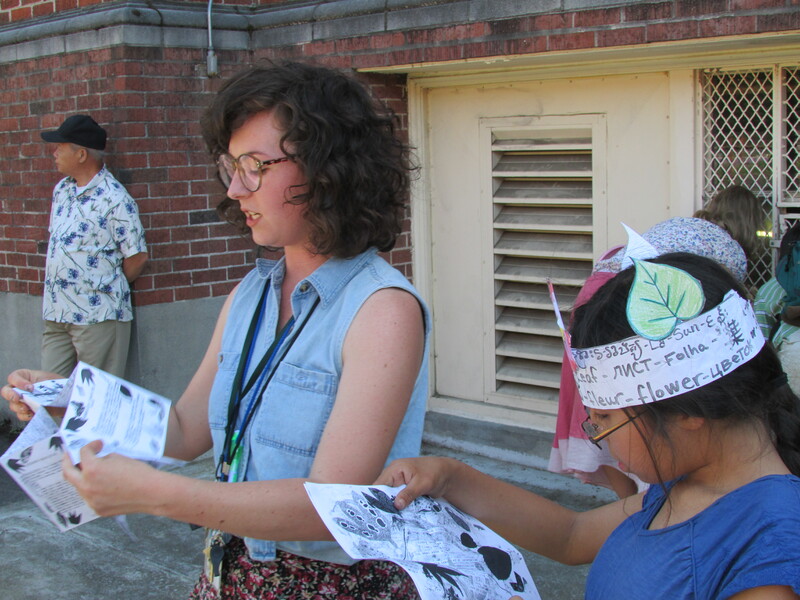 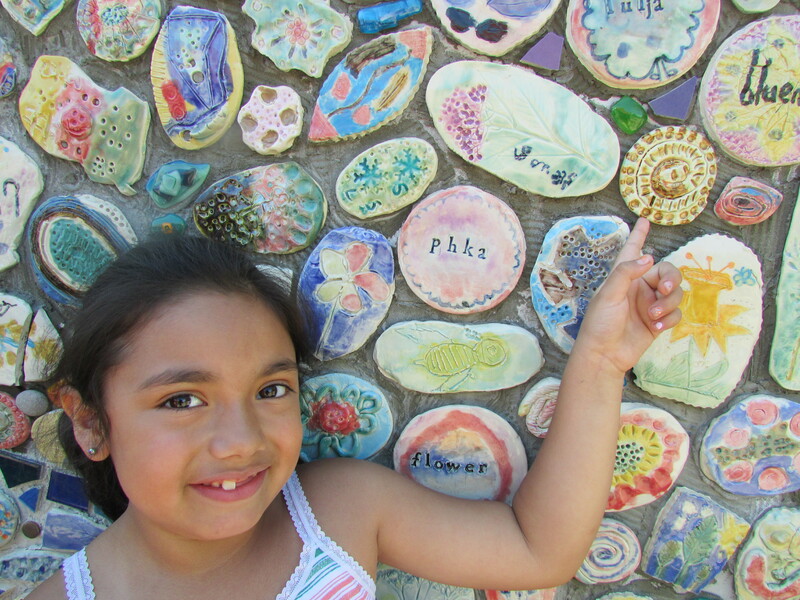 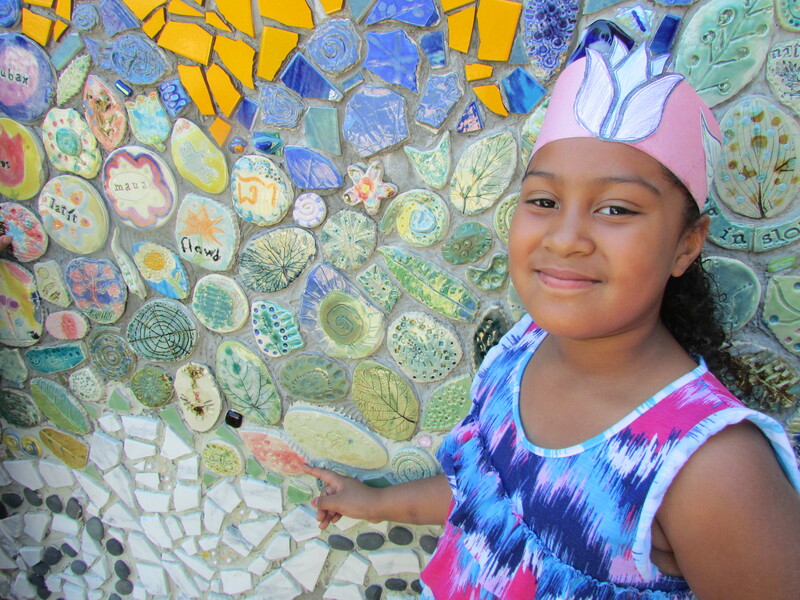 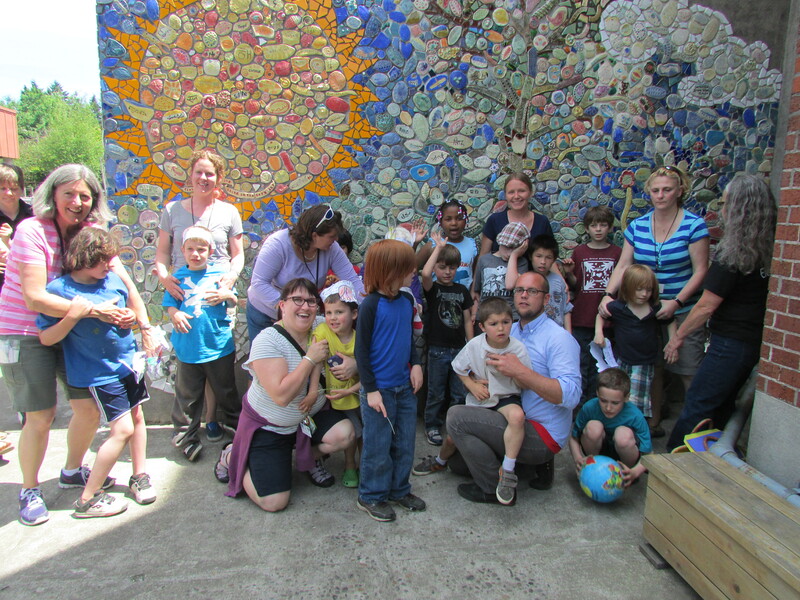 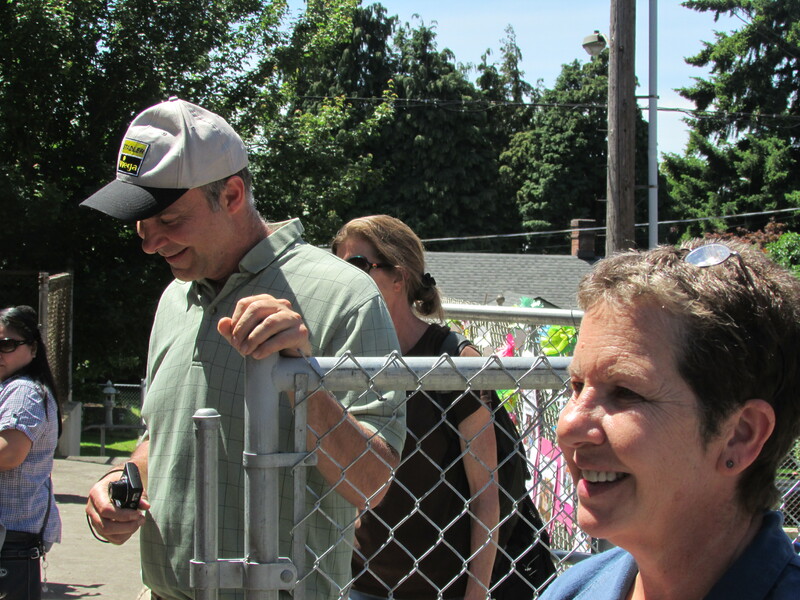 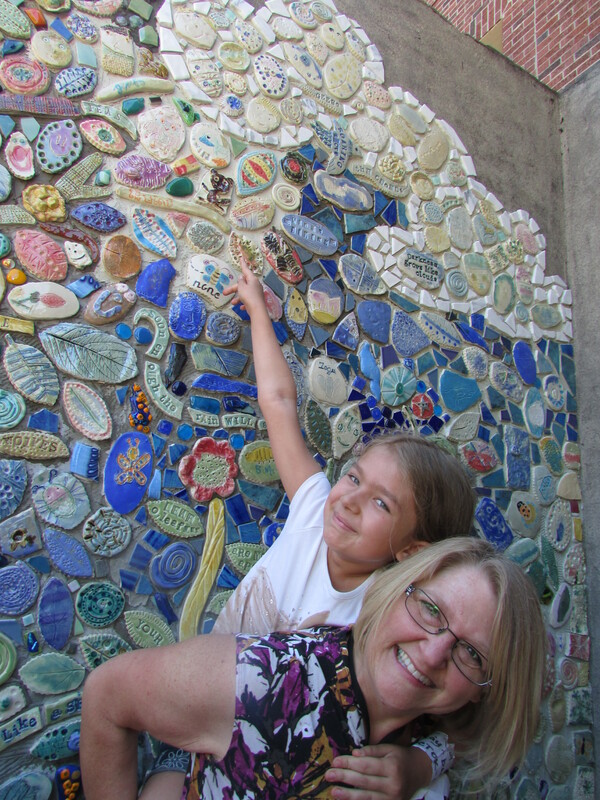 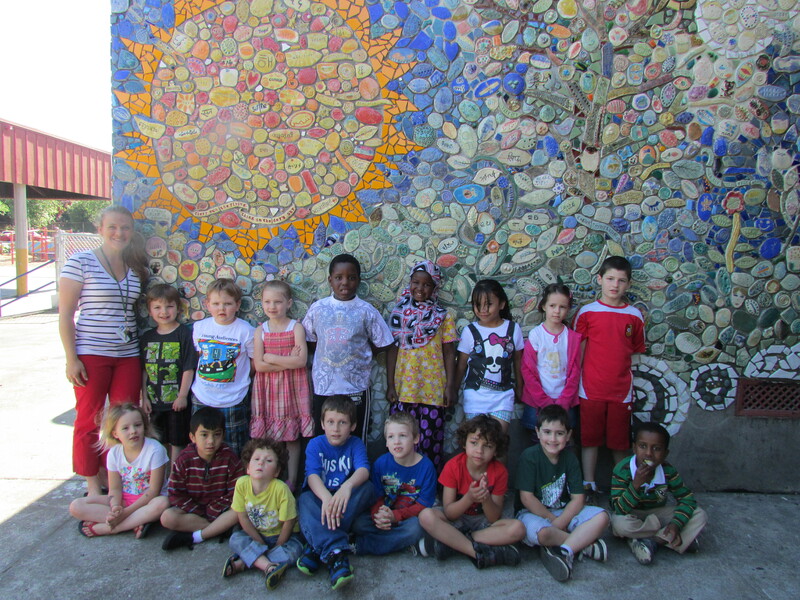 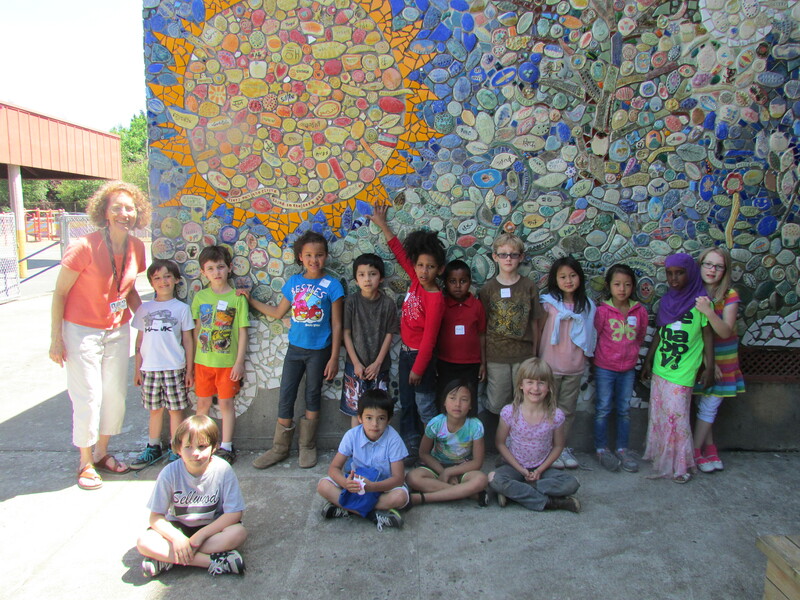 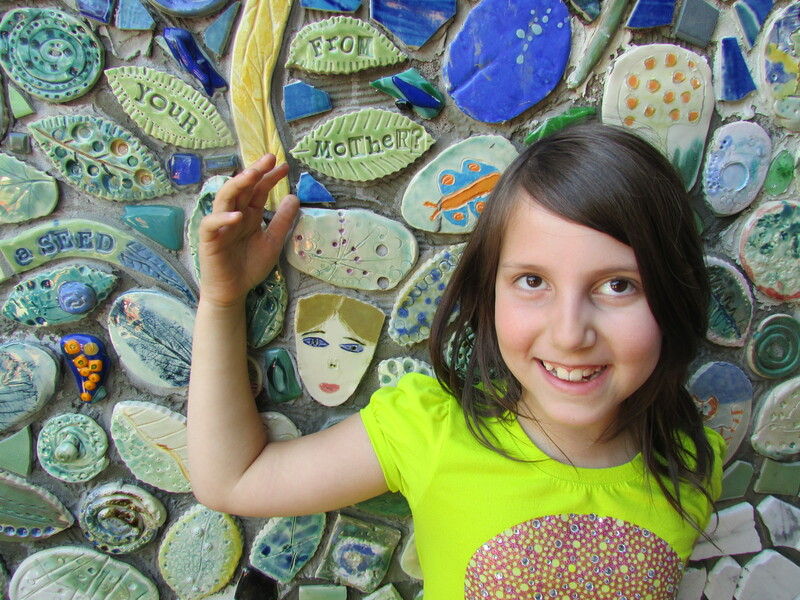 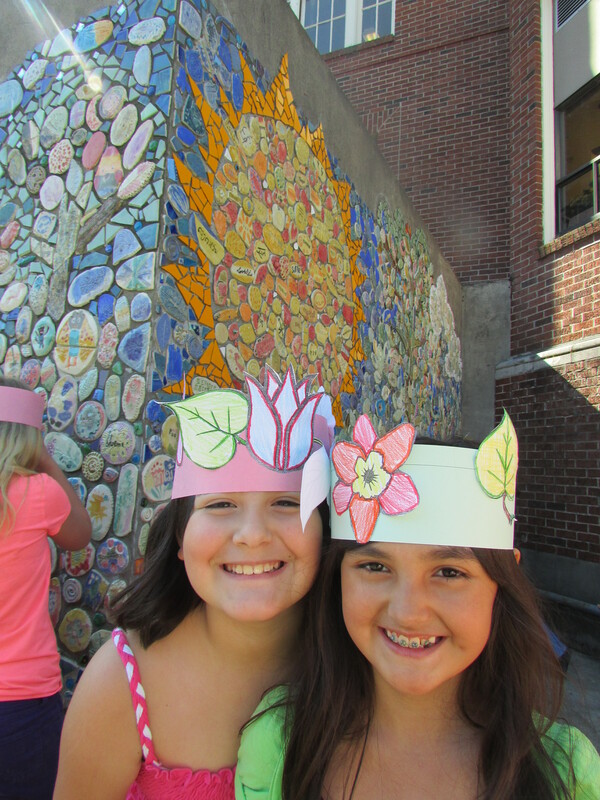 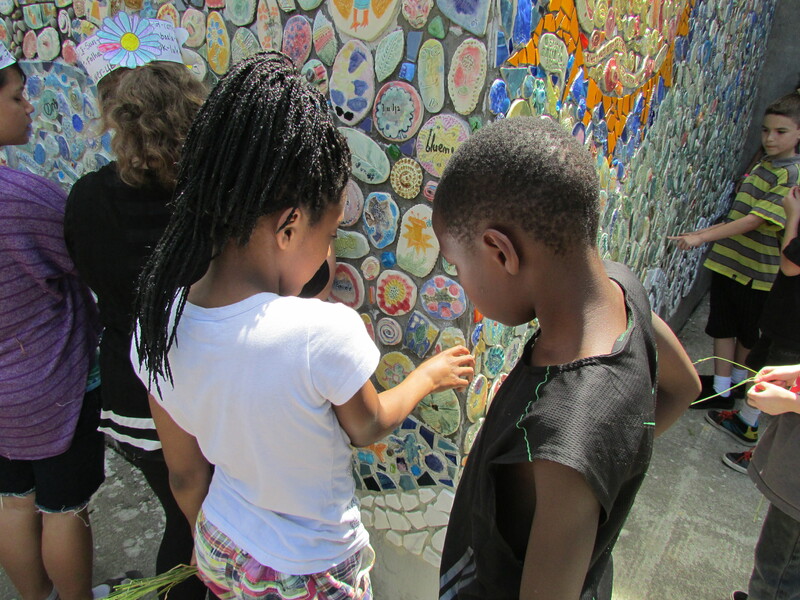 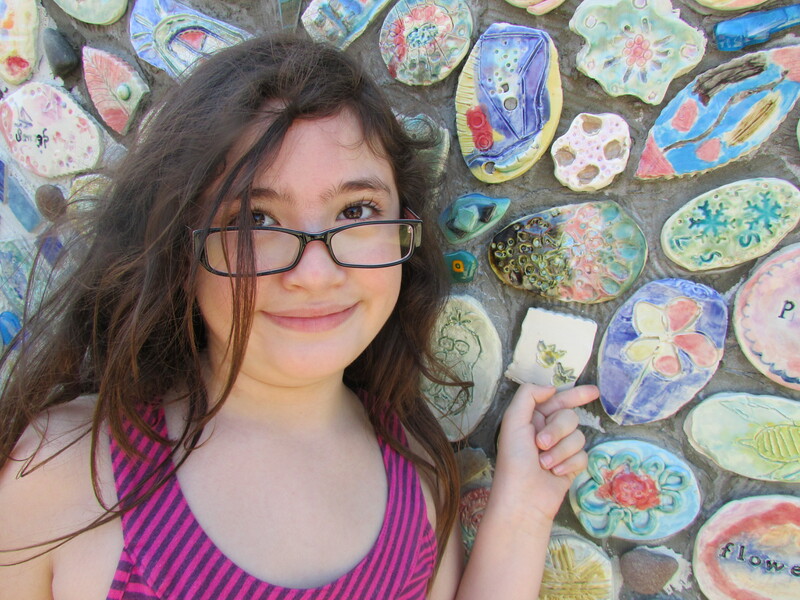 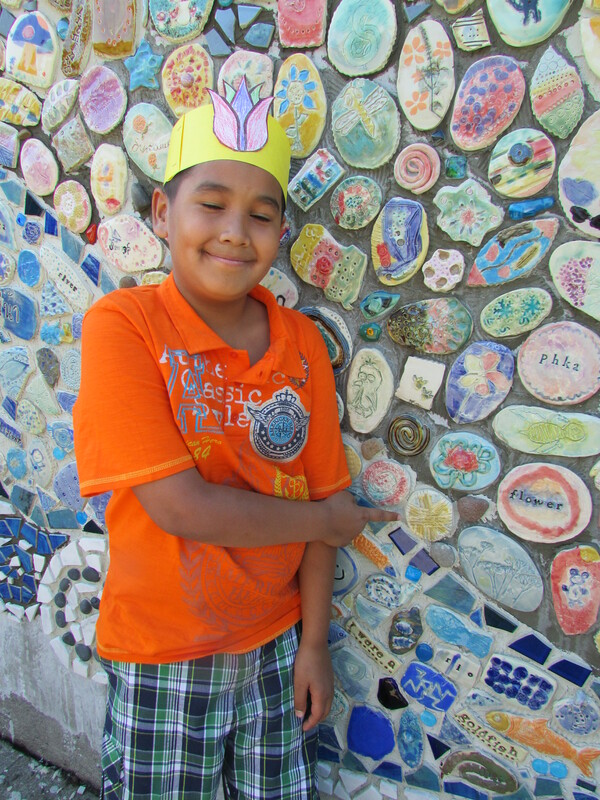 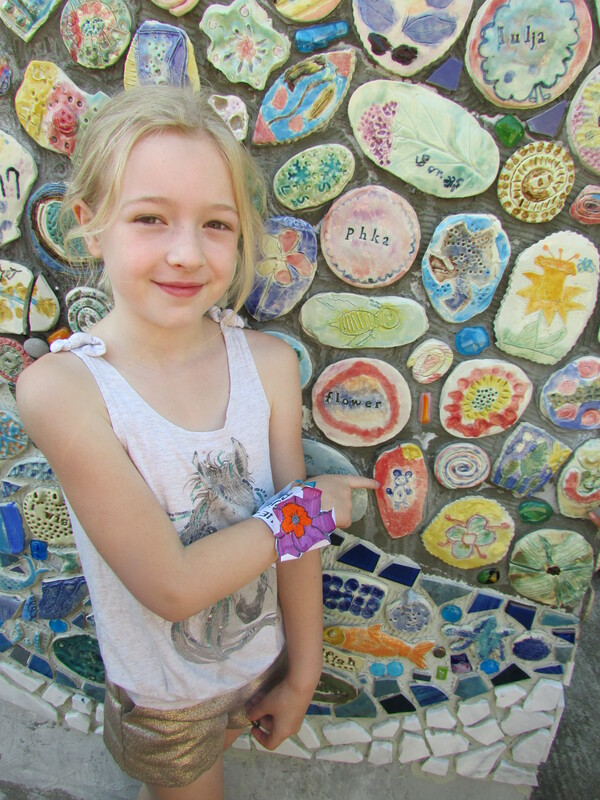 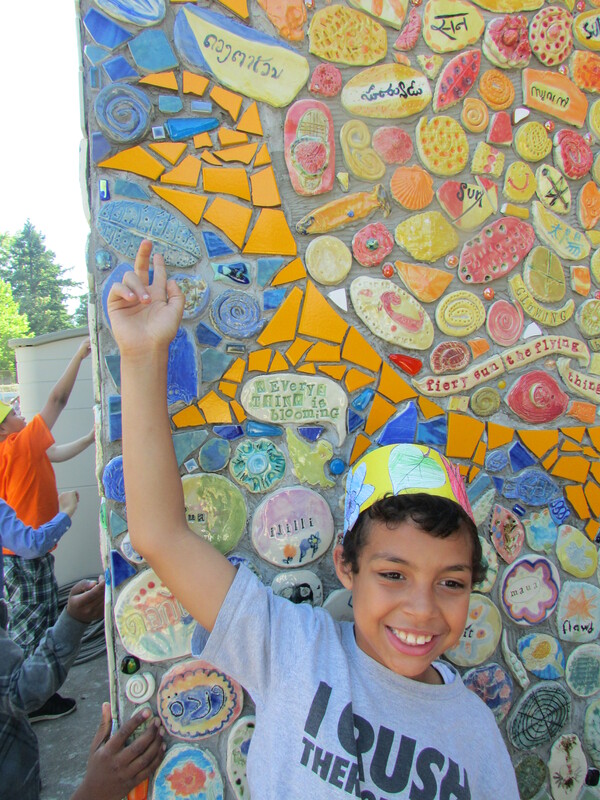 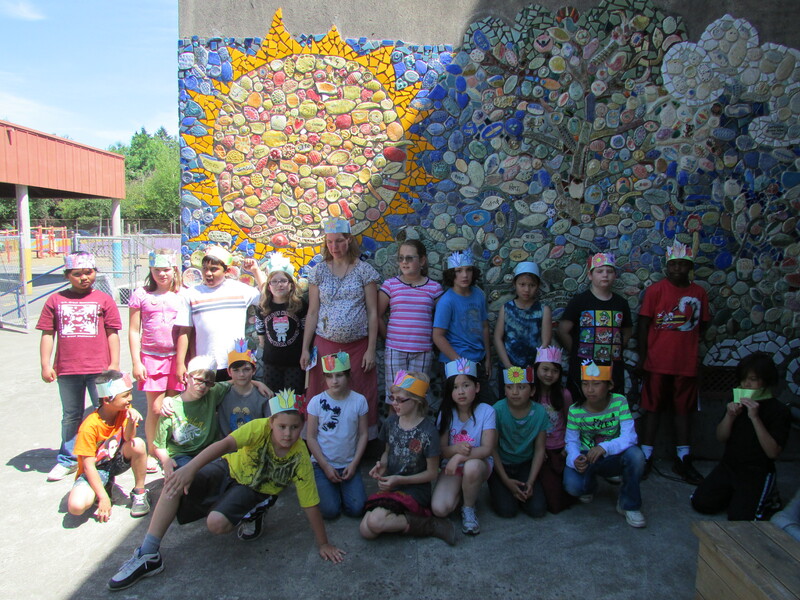 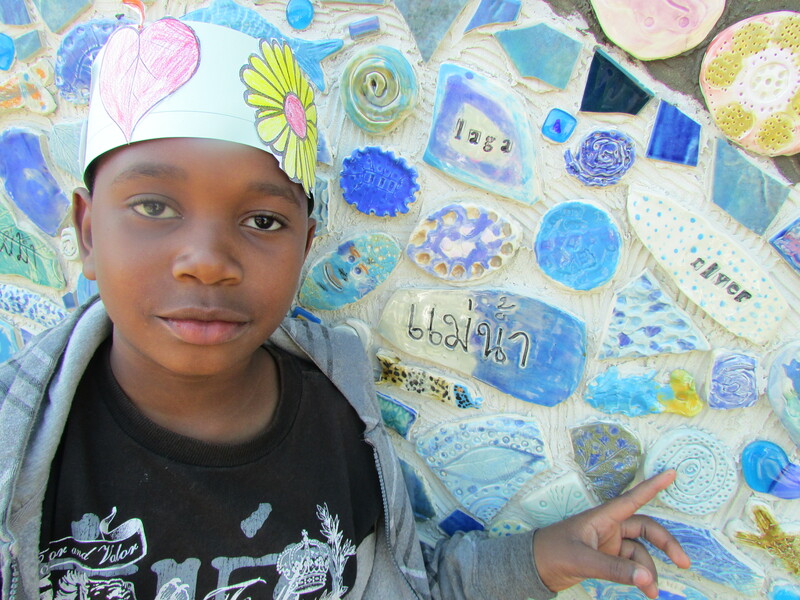 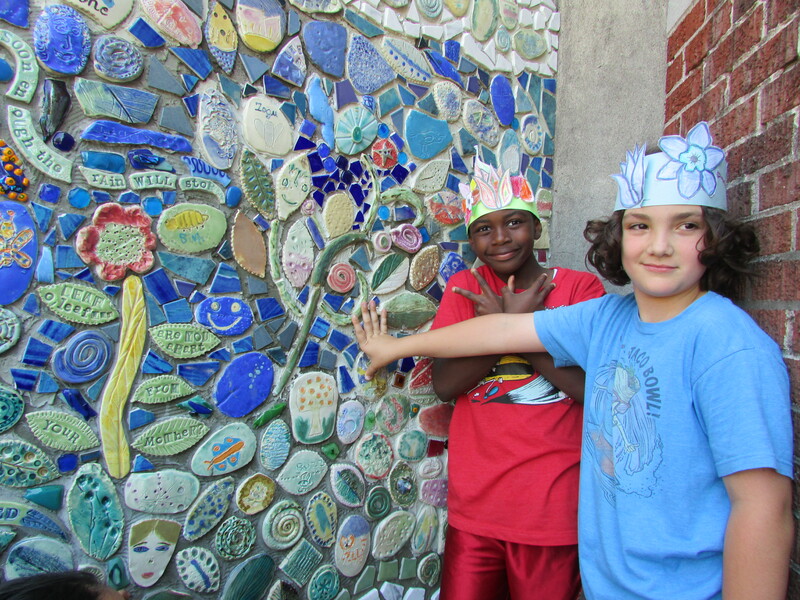 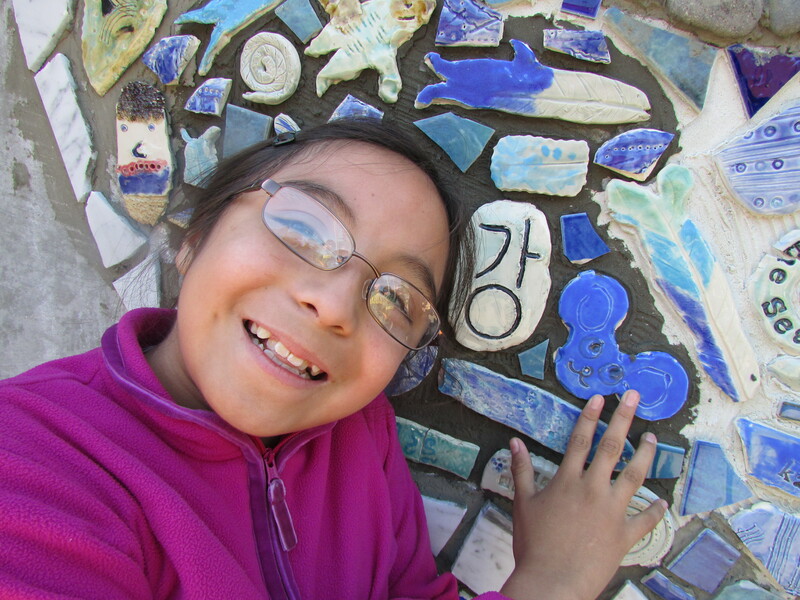 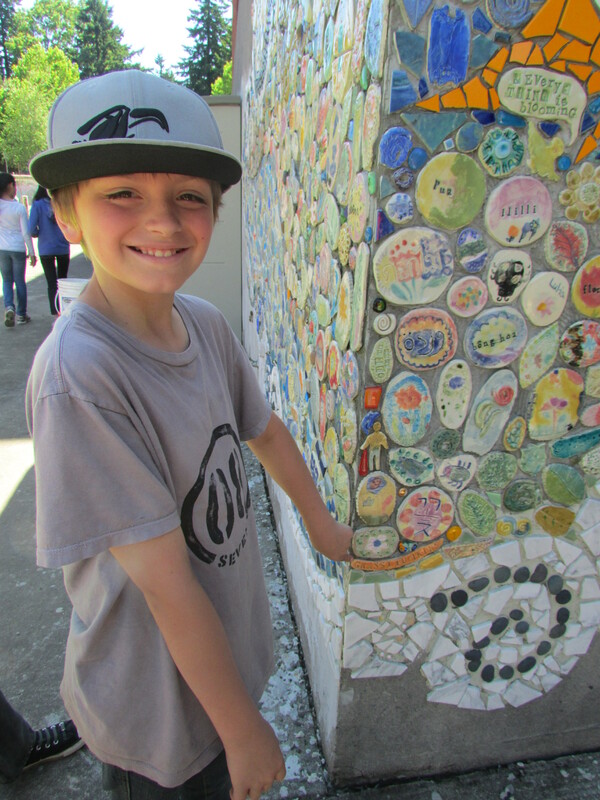 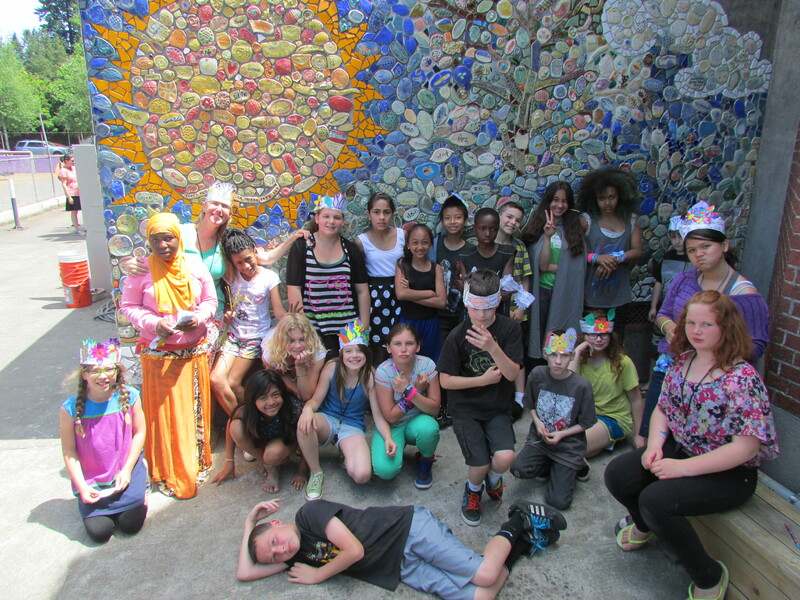 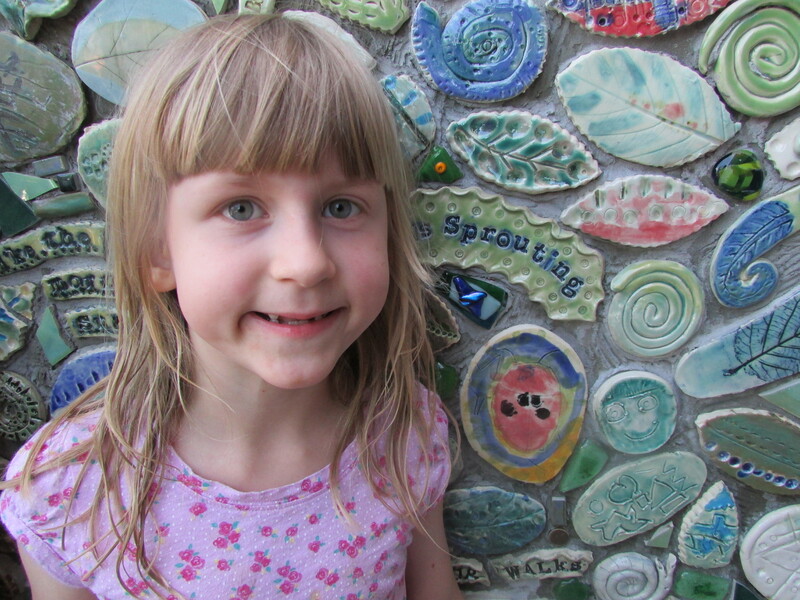 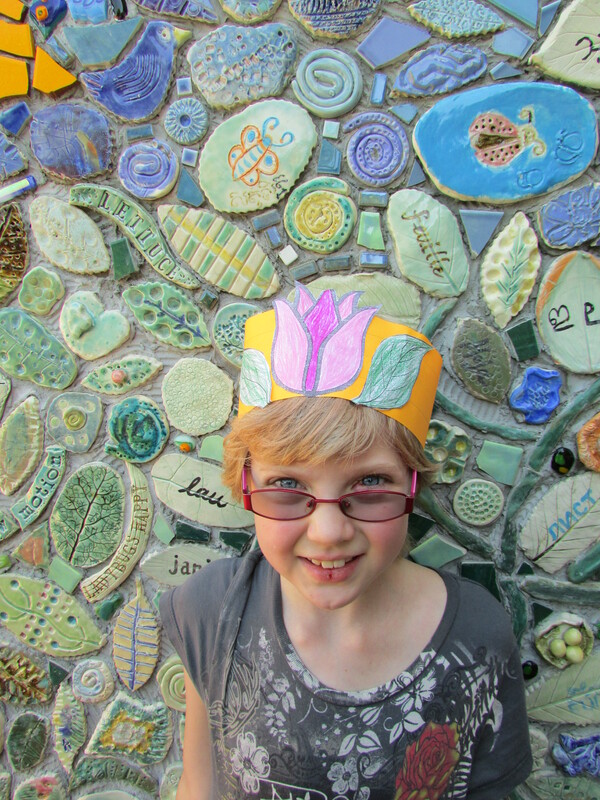 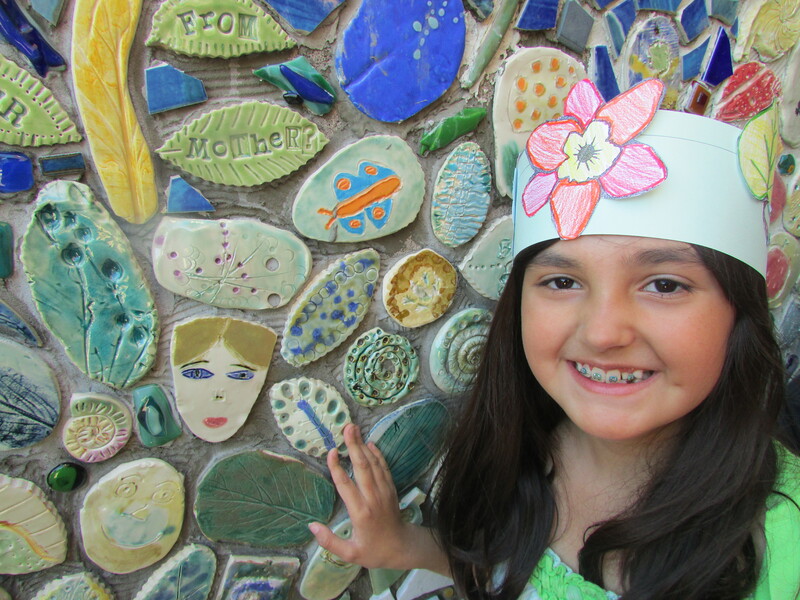 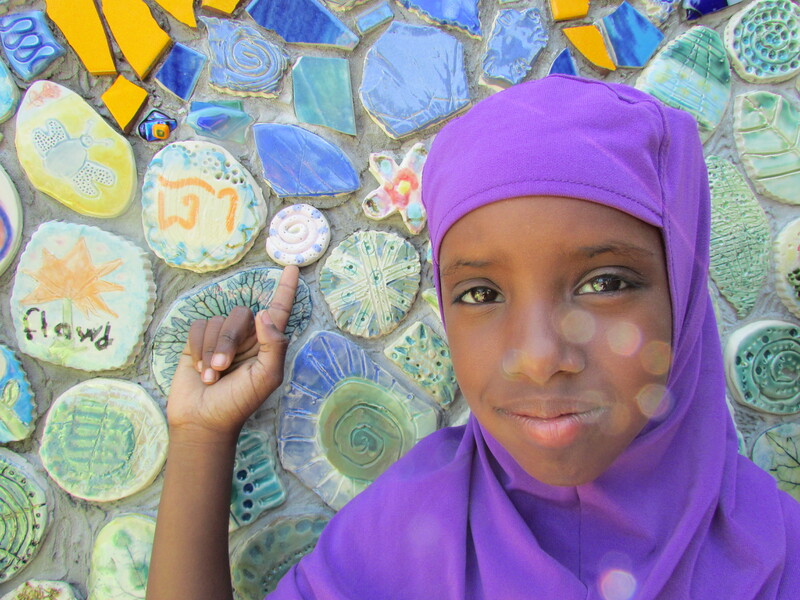 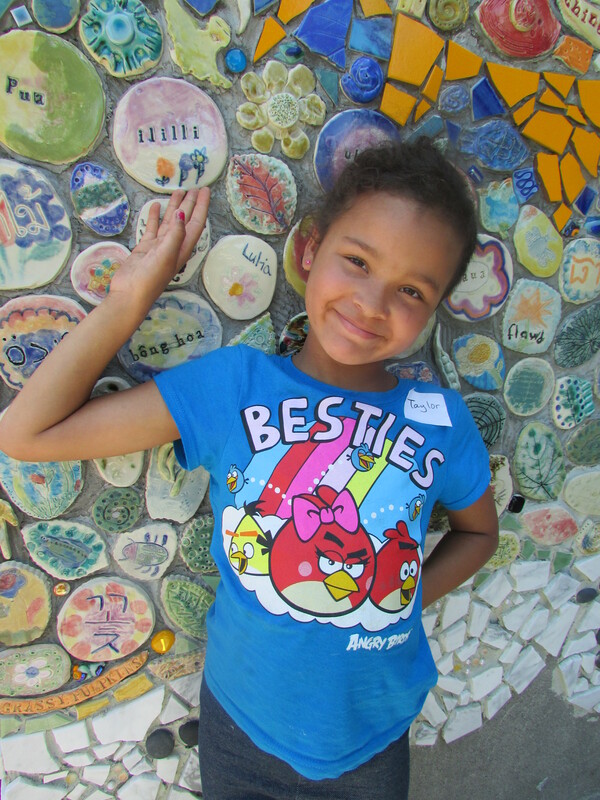 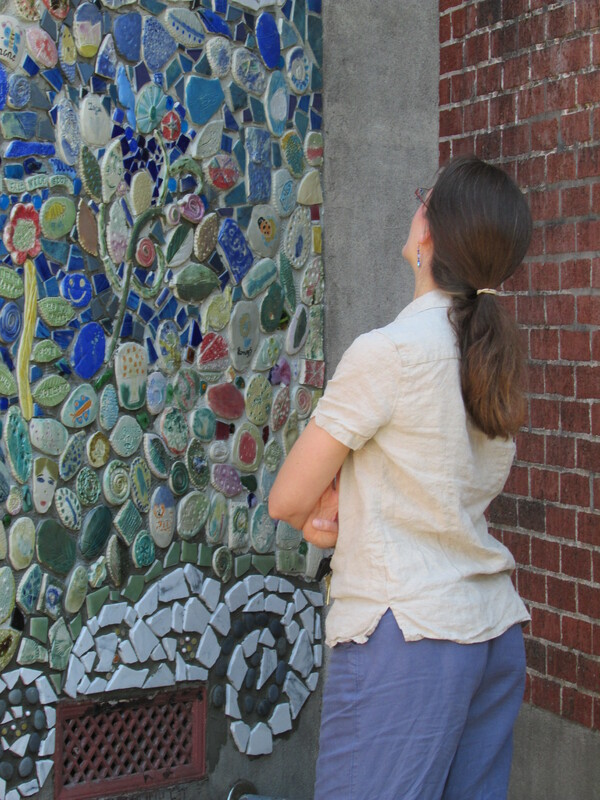 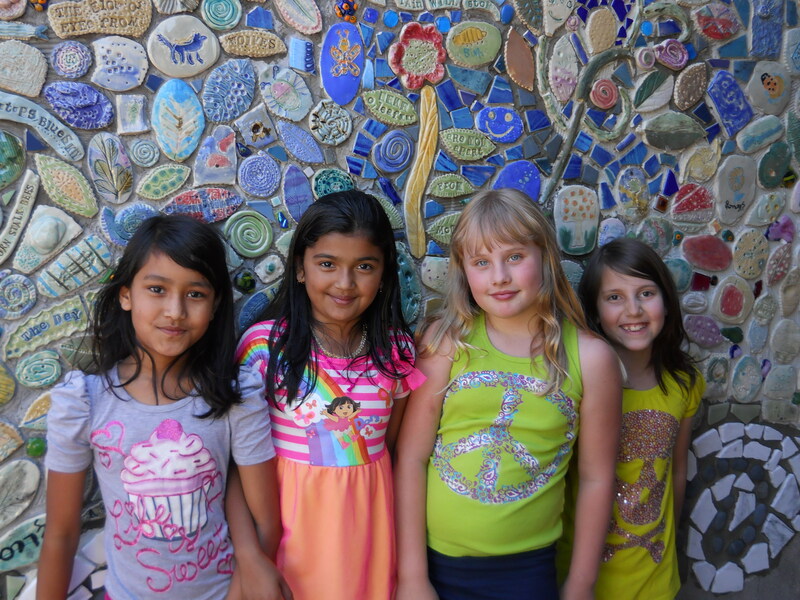 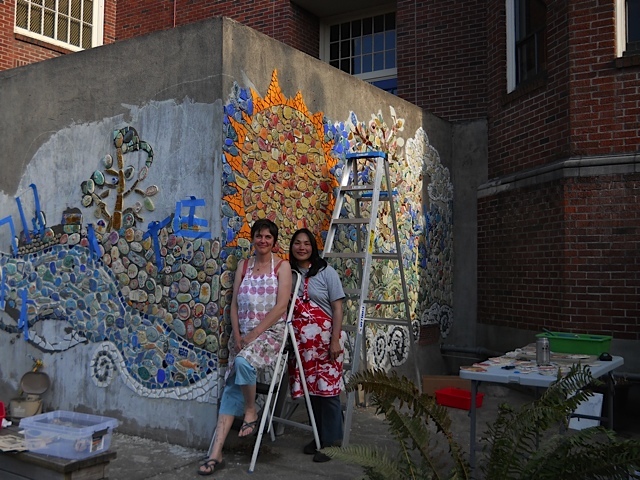 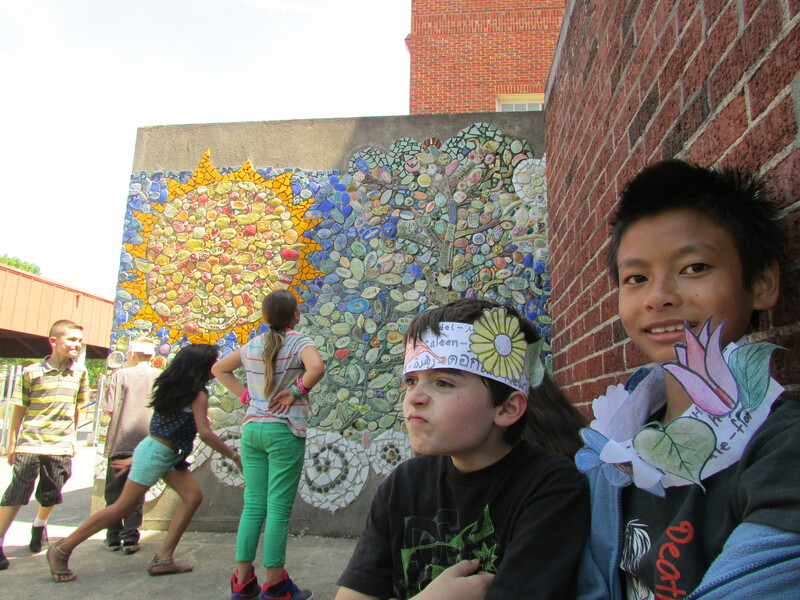 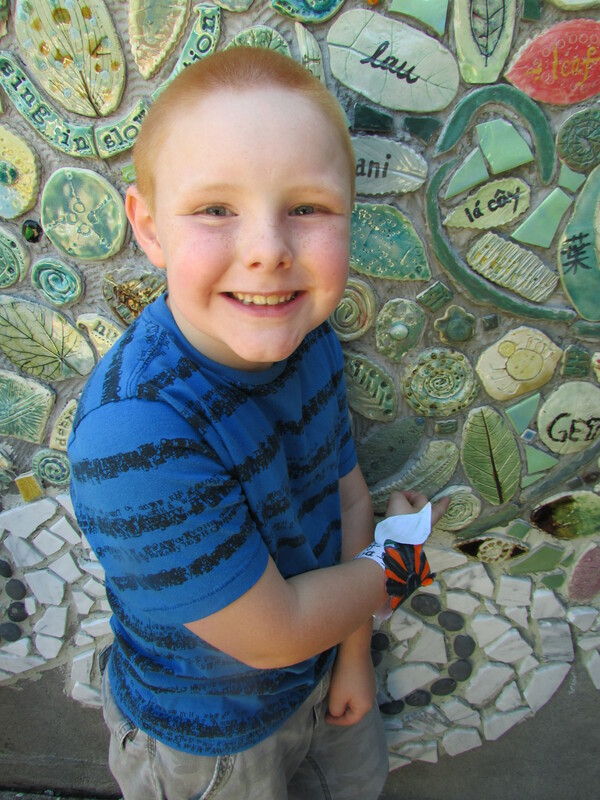 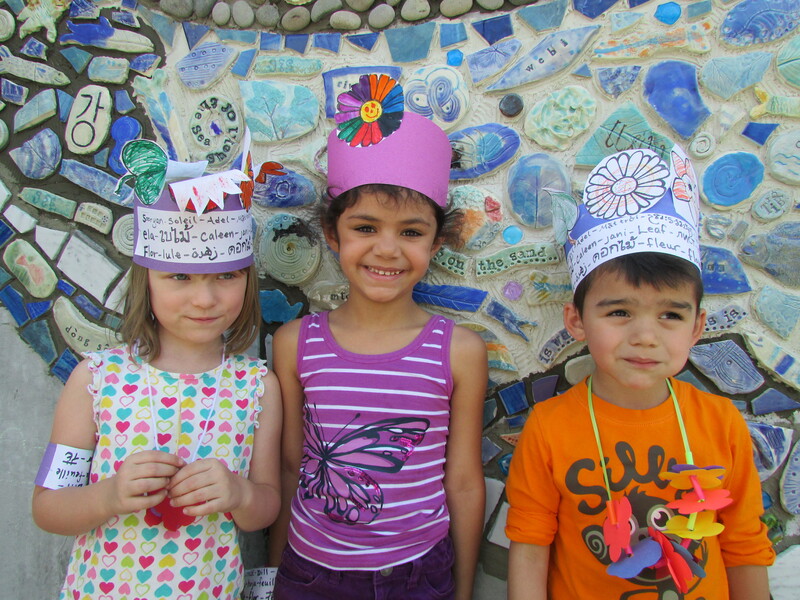 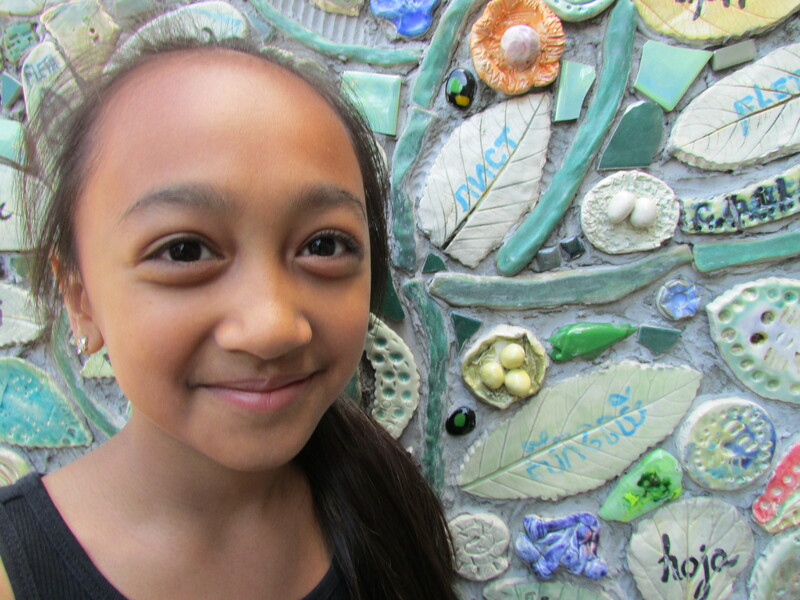 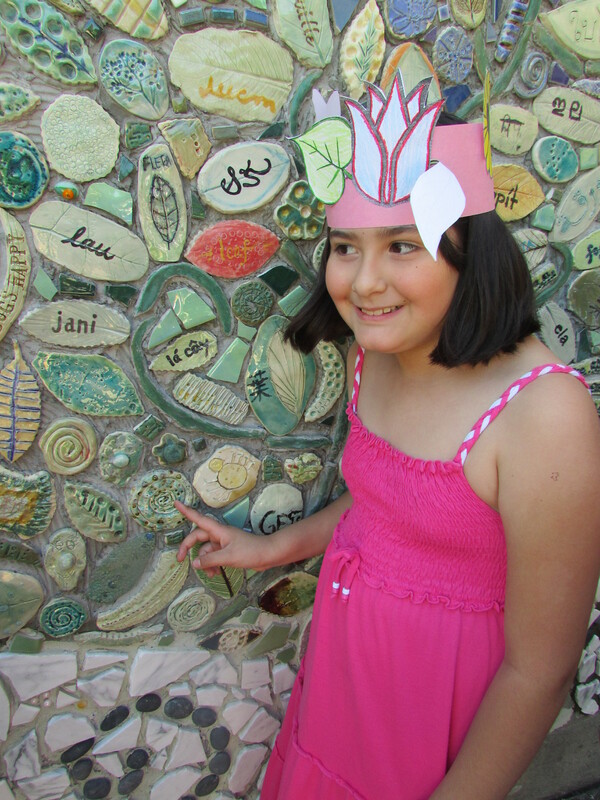 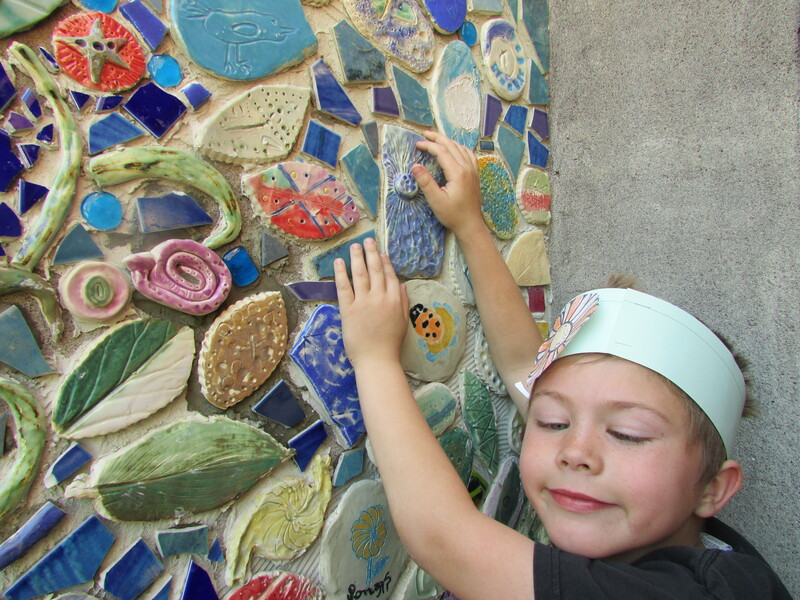 Each Grout class toured the gardens and the Language tile mural on June 5. 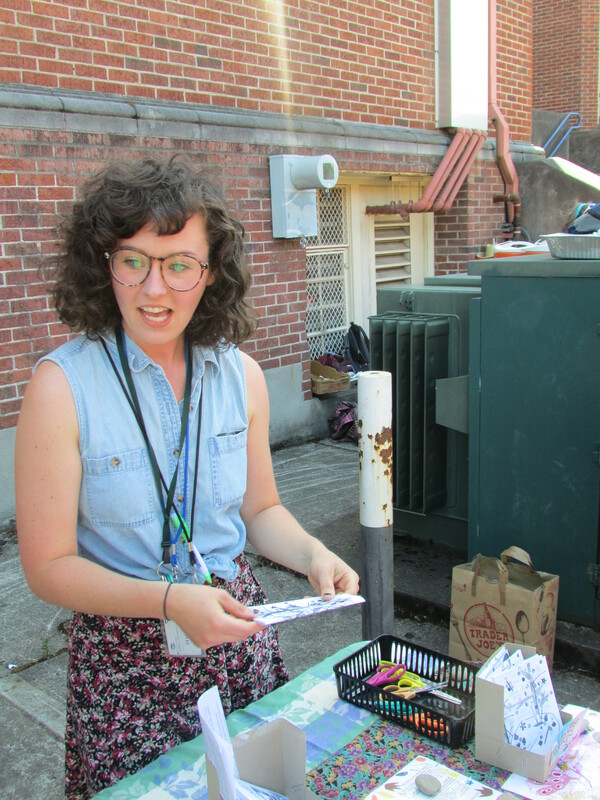 They located the vegetables in their salad rolls (complements of Portland State University Applied Linguistics Program and K.A.C. 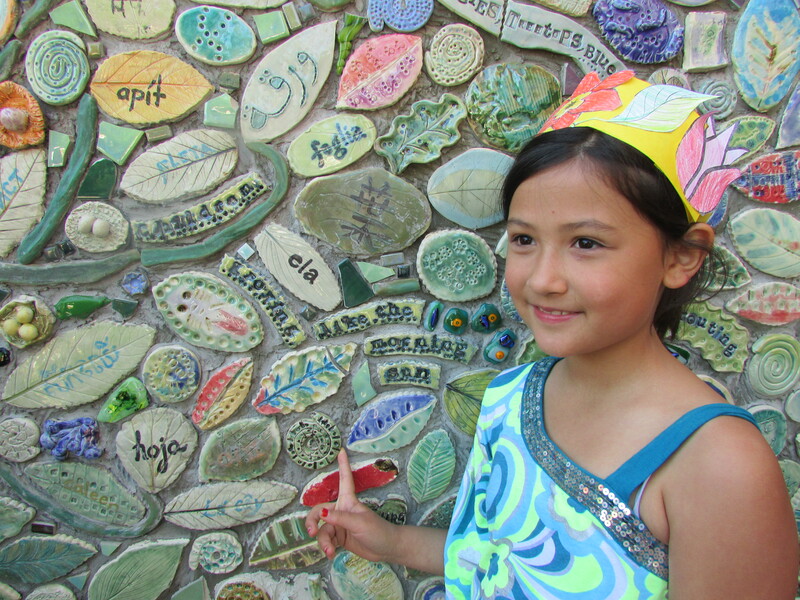 Thai Fusion) in the garden beds they planted; toured the sensory garden in the upper deck; and found tiles they made in the Language Garden Tile Mural. 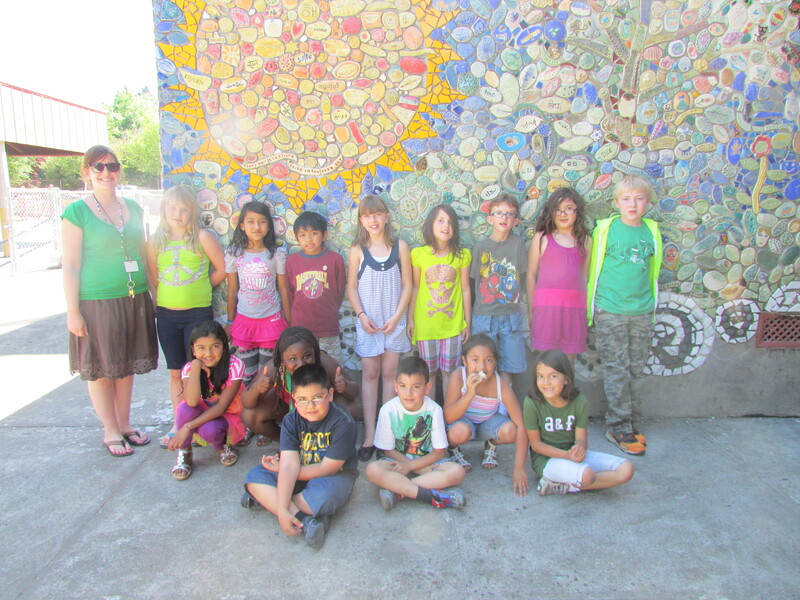 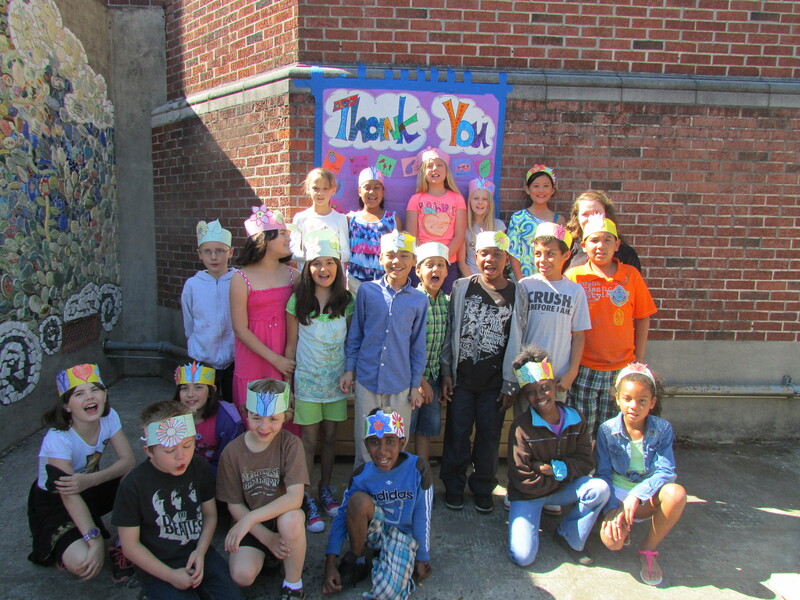 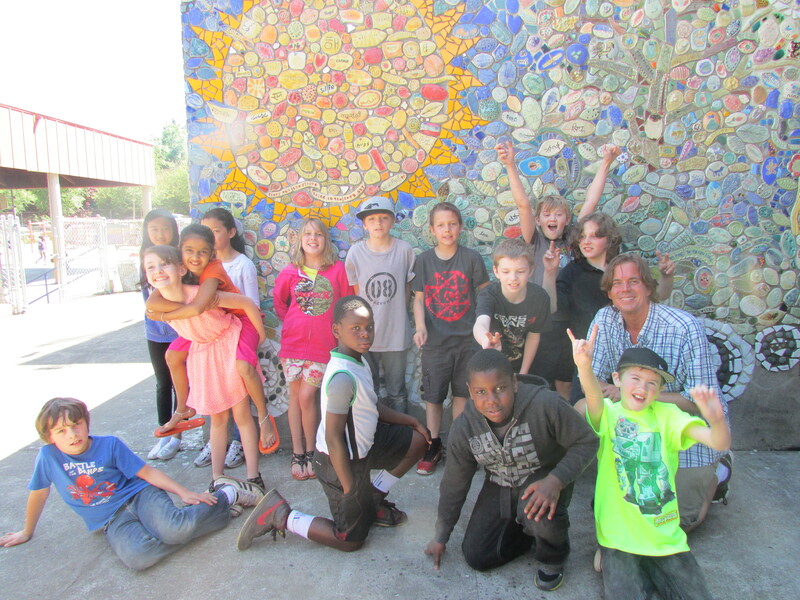 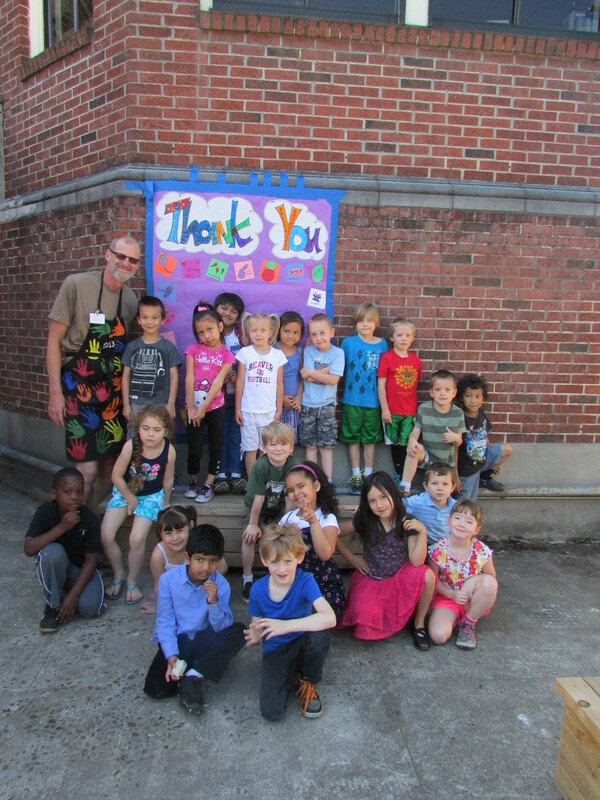 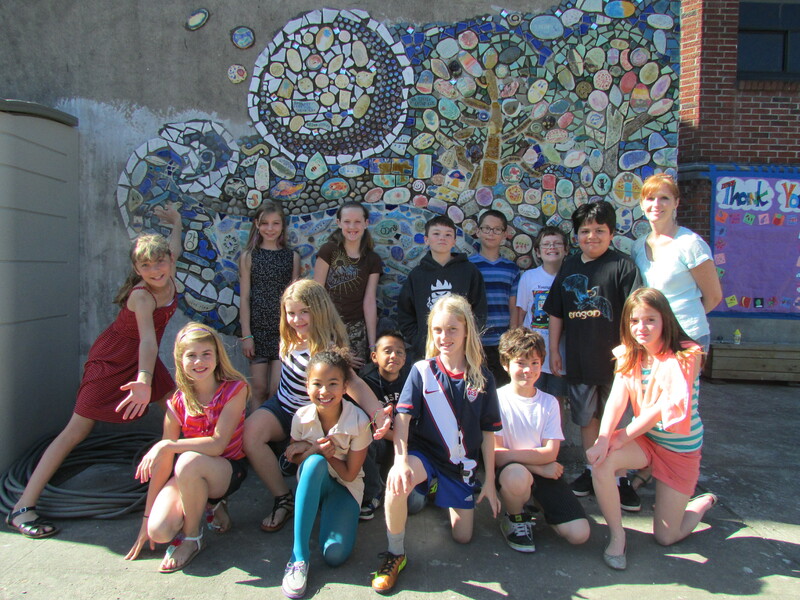 Grout classes posed in front of the mural during our June 5 celebration. 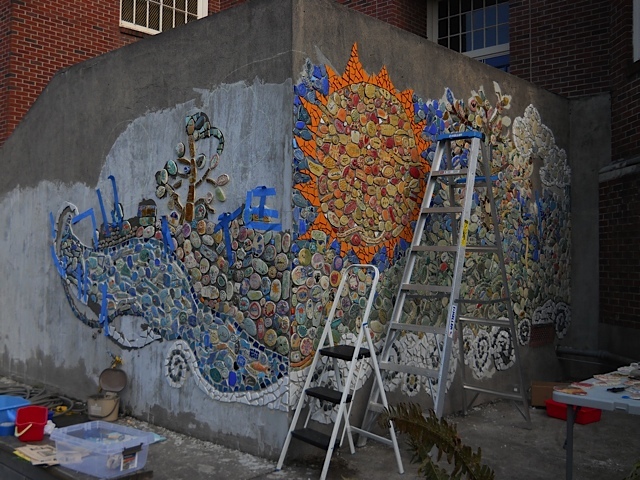 a landscape of a rapid river, a glowing sun, and soon…. 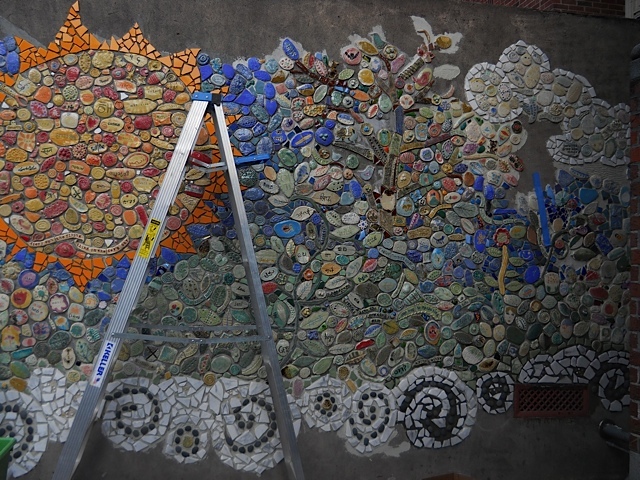 After several intensive installation days, we are getting closer! 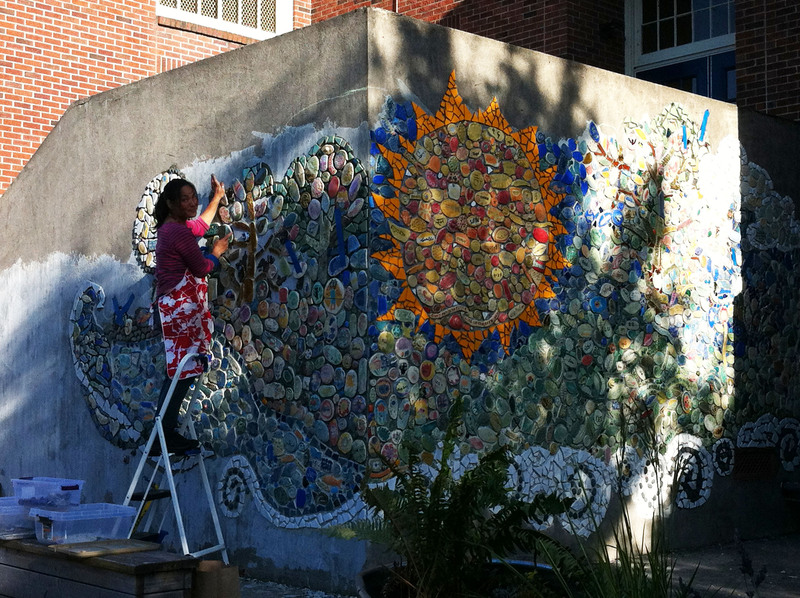 Next, the trees will grow some foliage, a moon will shine down. 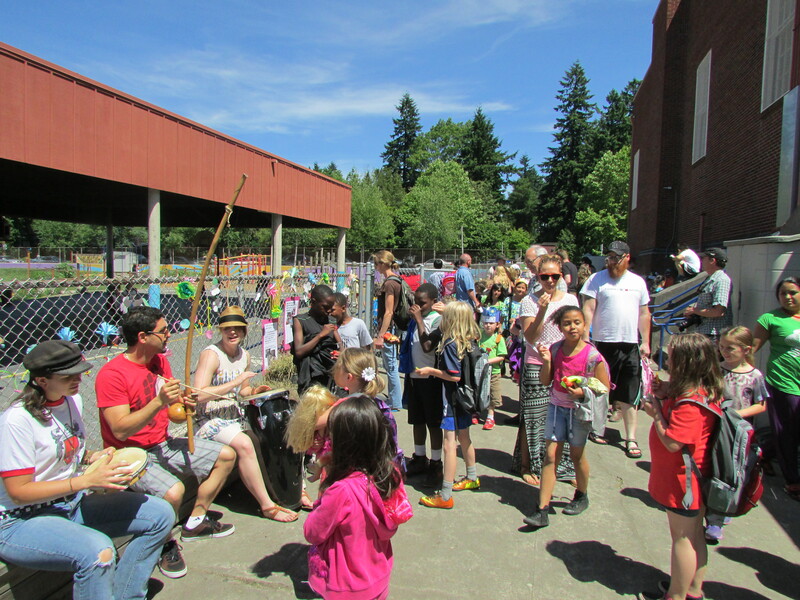 Come join us in celebration on Wednesday, June 5, 2 pm – 2:45 pm! 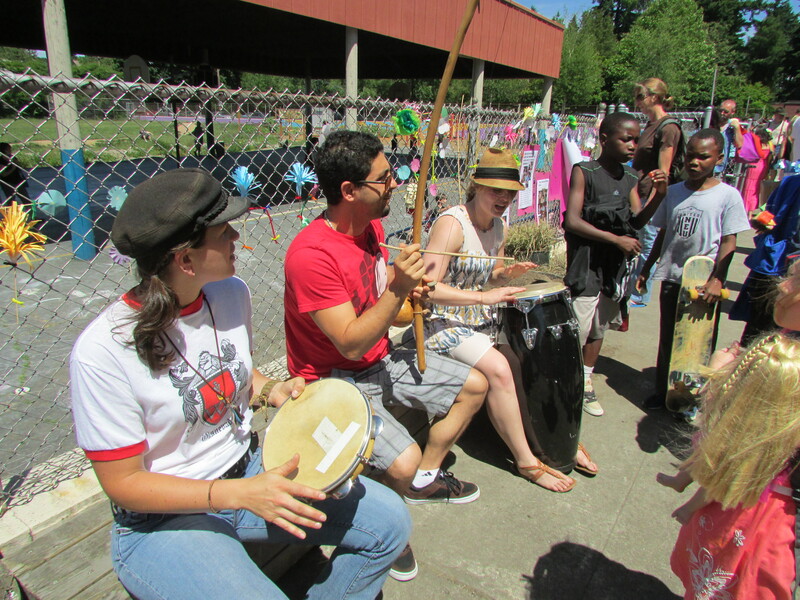 There will be food and music.